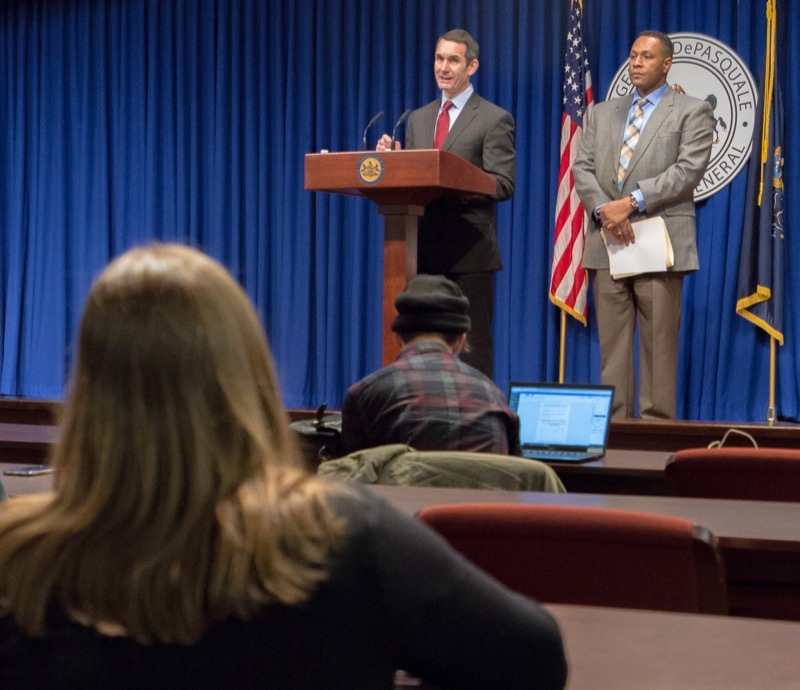 PITTSBURGH - Attorney General Josh Shapiro today filed a petition in Commonwealth Court to modify the consent decrees governing the relationship between UPMC and Highmark, two of the largest health care providers and insurers in the western Pennsylvania market. 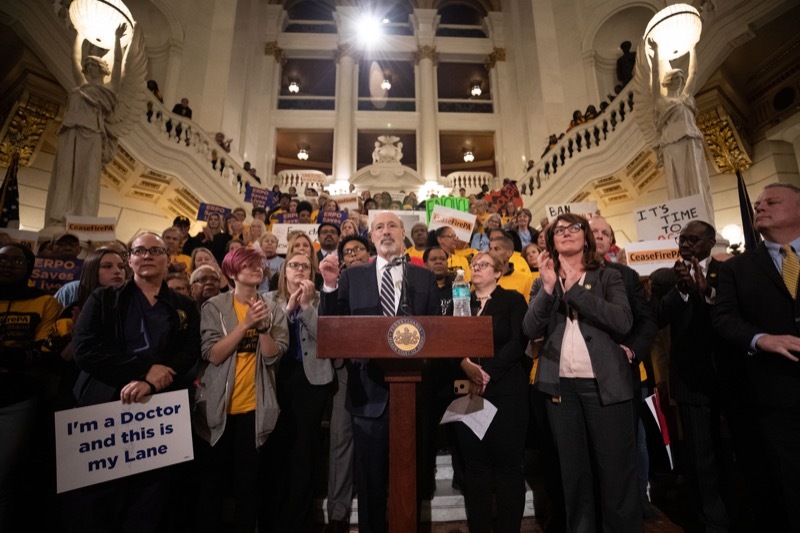 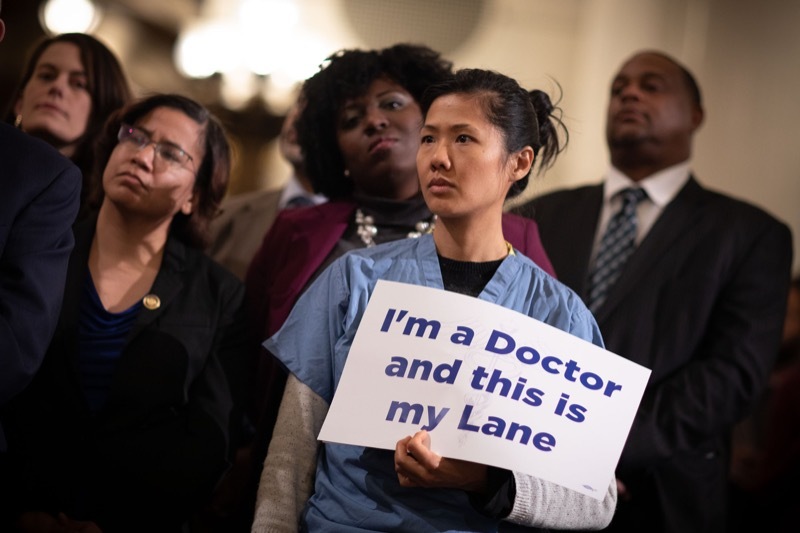 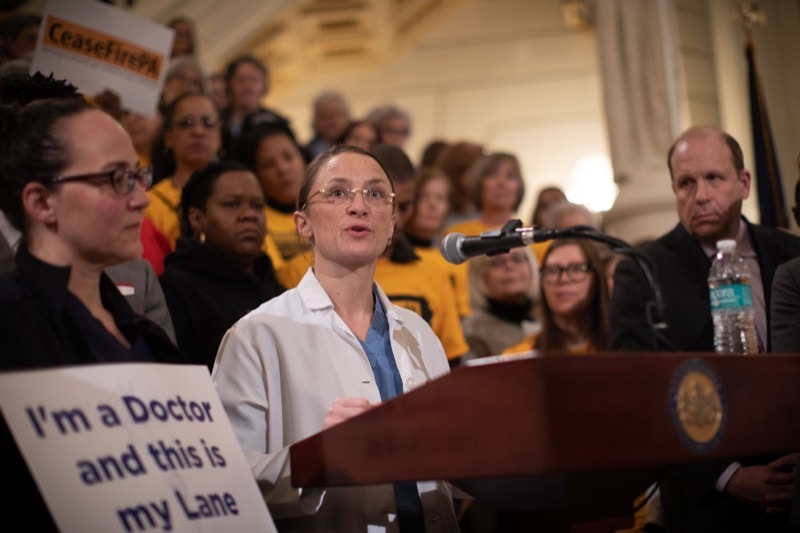 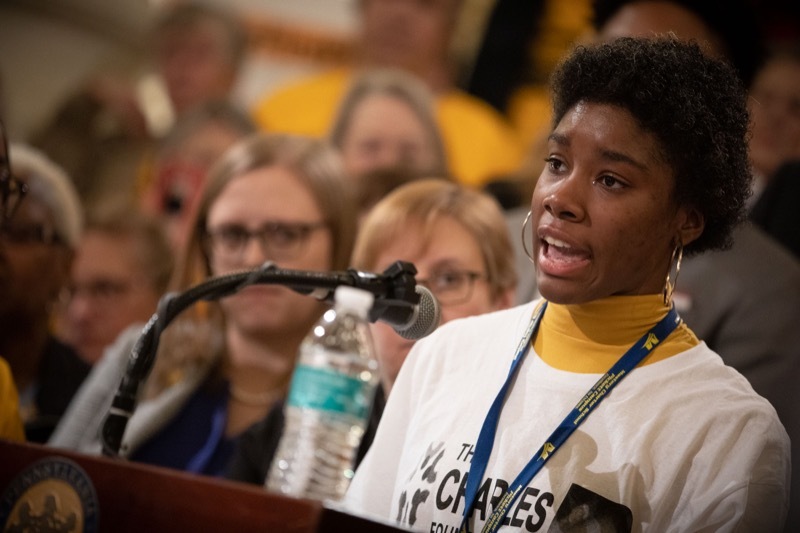 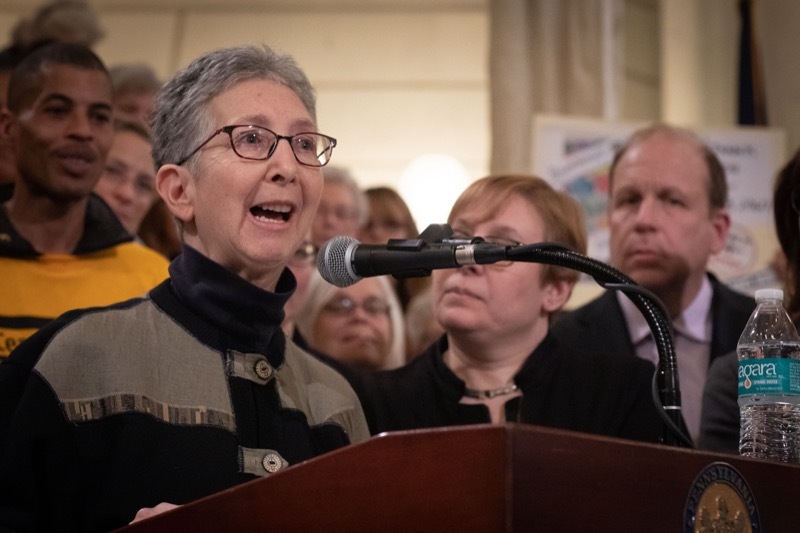 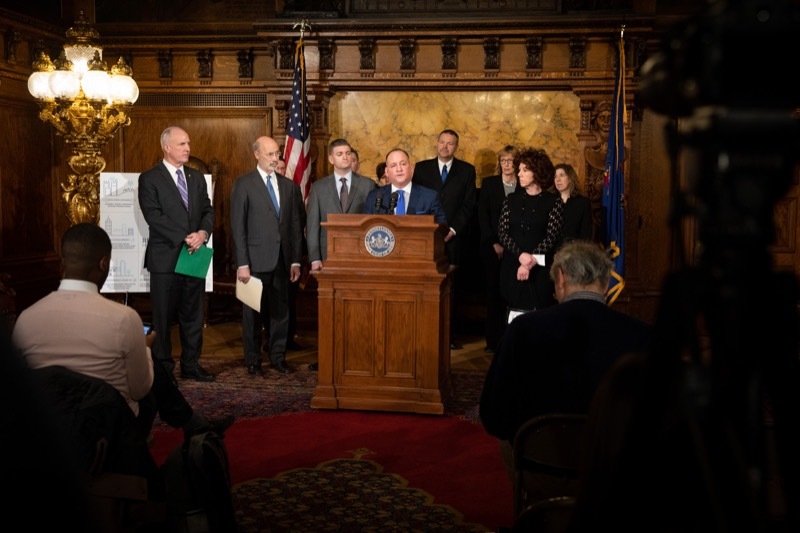 The petition requests that the Court impose modifications to protect and promote the public interest by ensuring that UPMC abides by its charitable obligations to the Commonwealth of Pennsylvania. 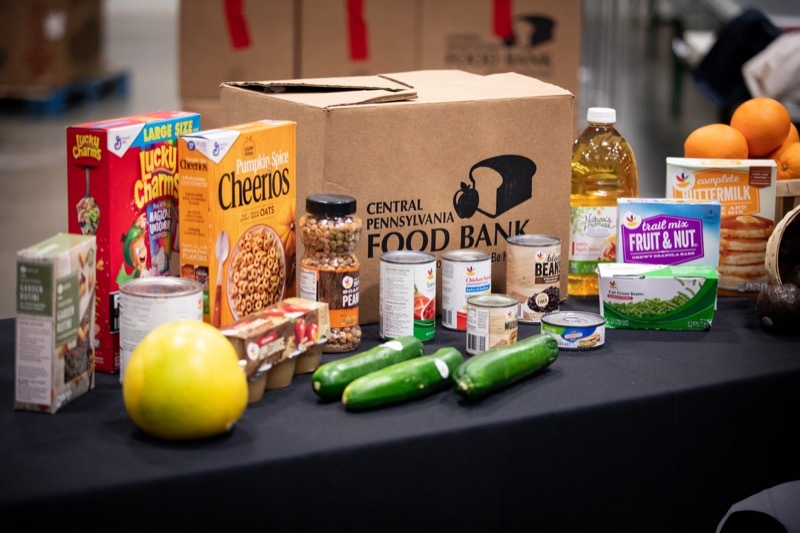 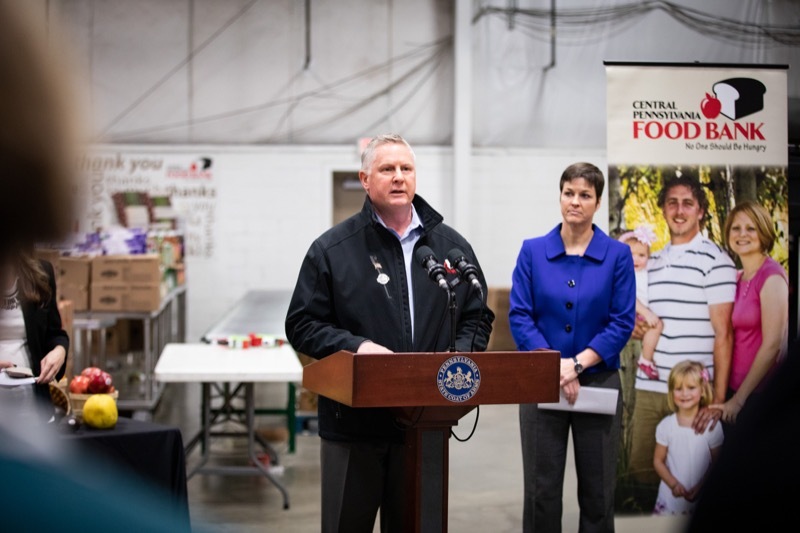 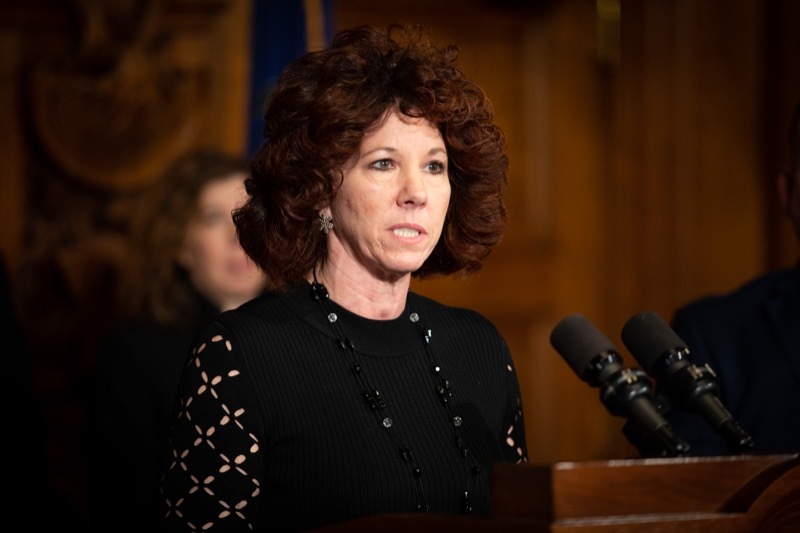 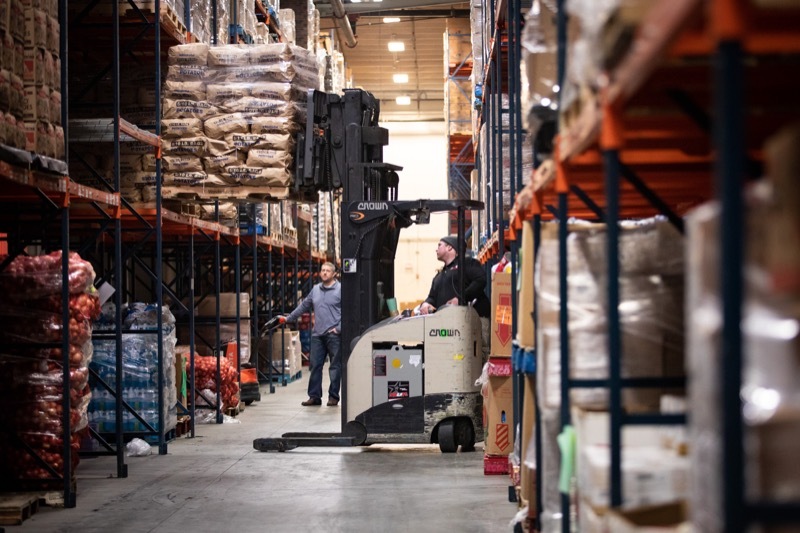 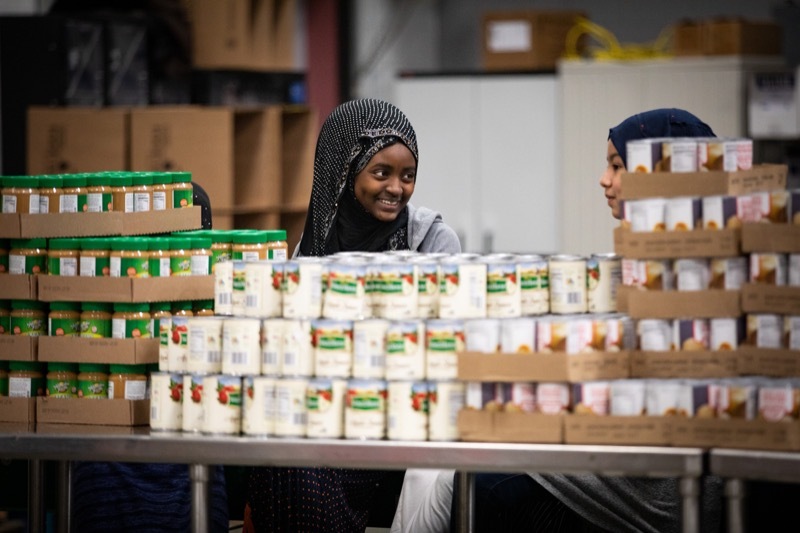 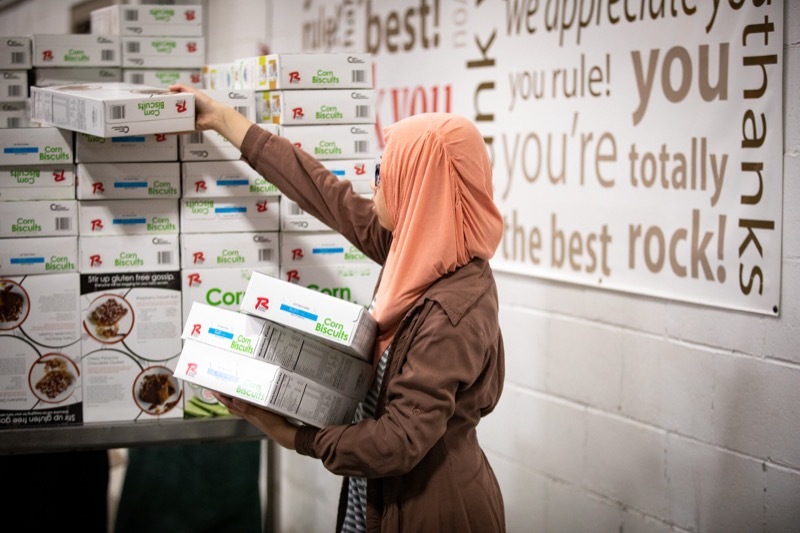 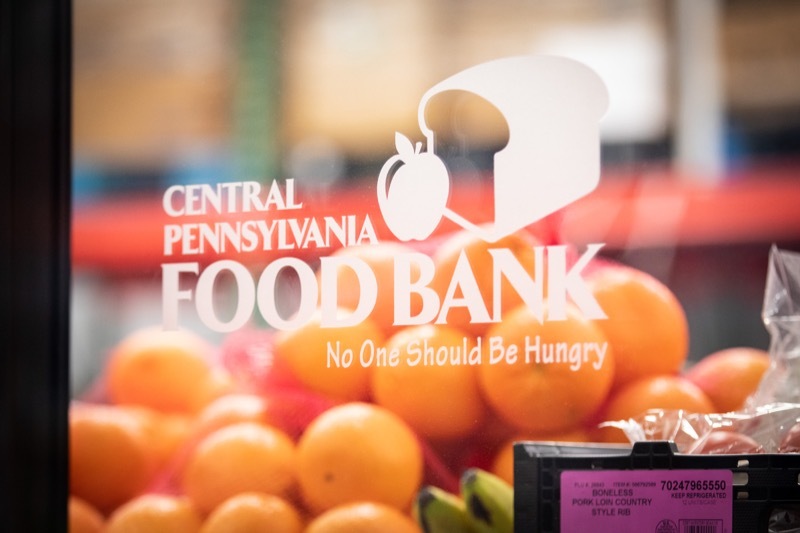 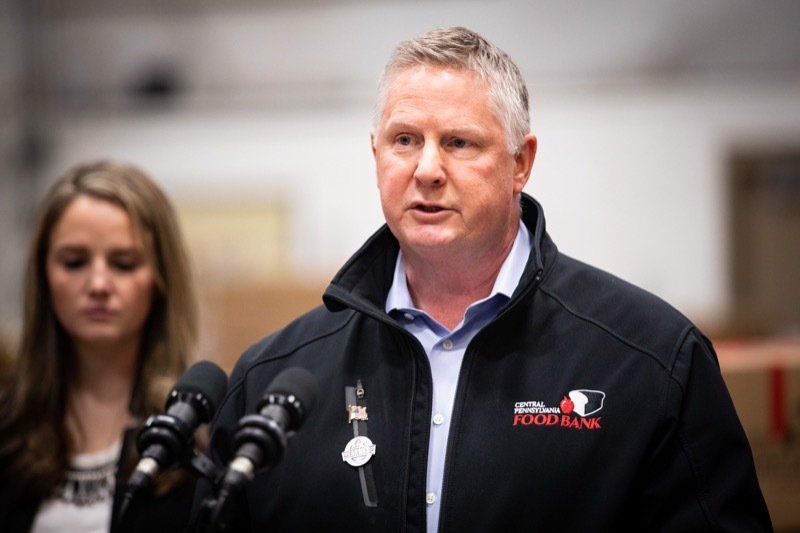 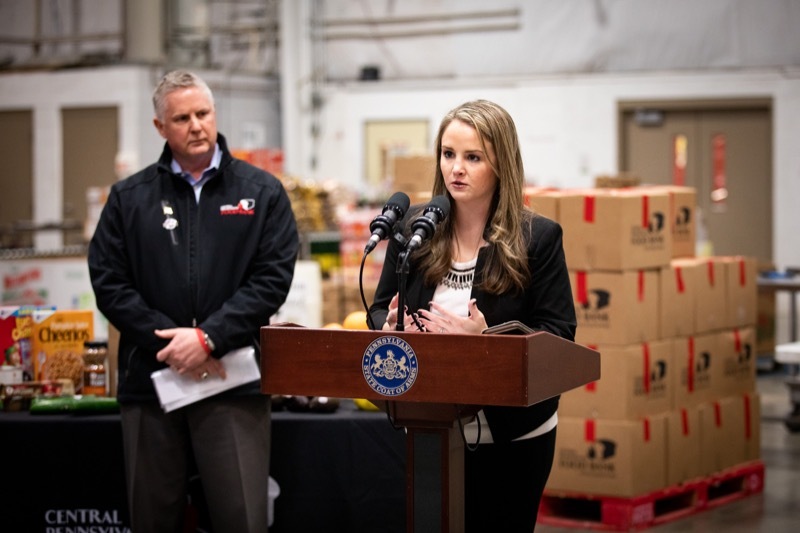 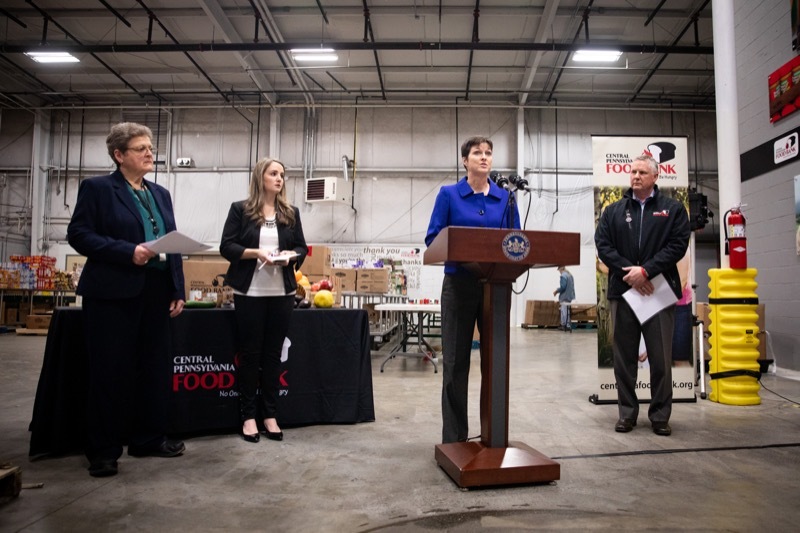 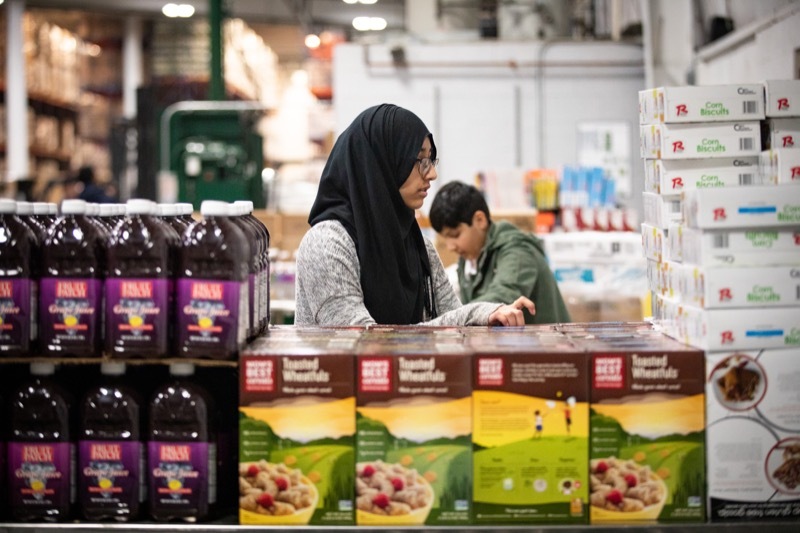 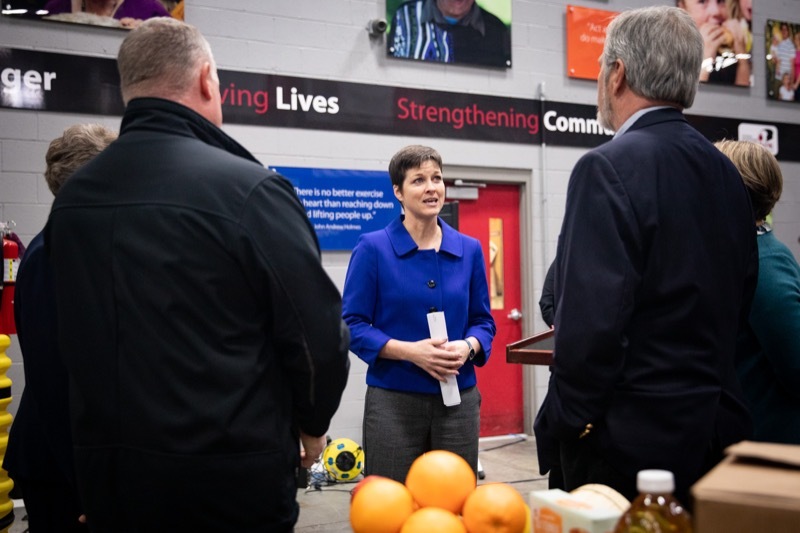 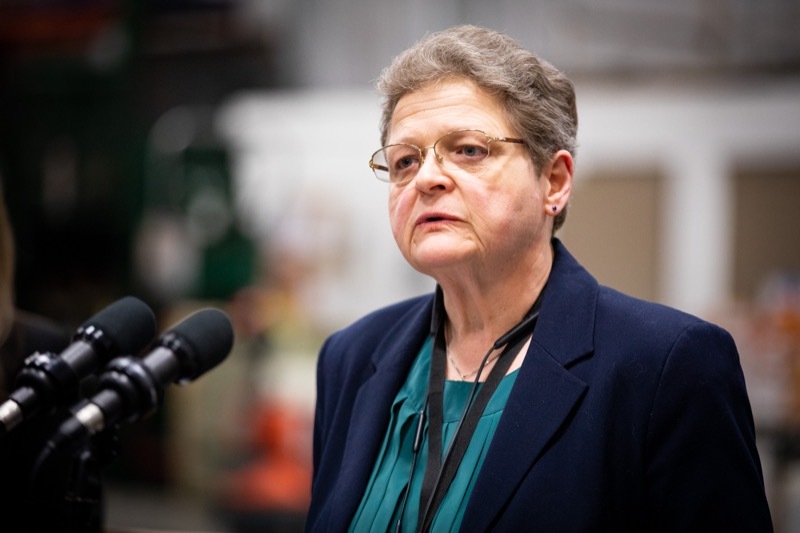 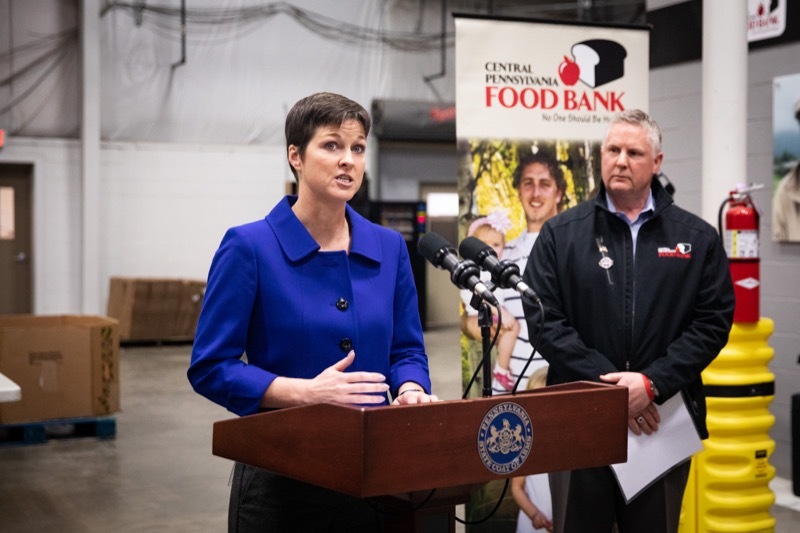 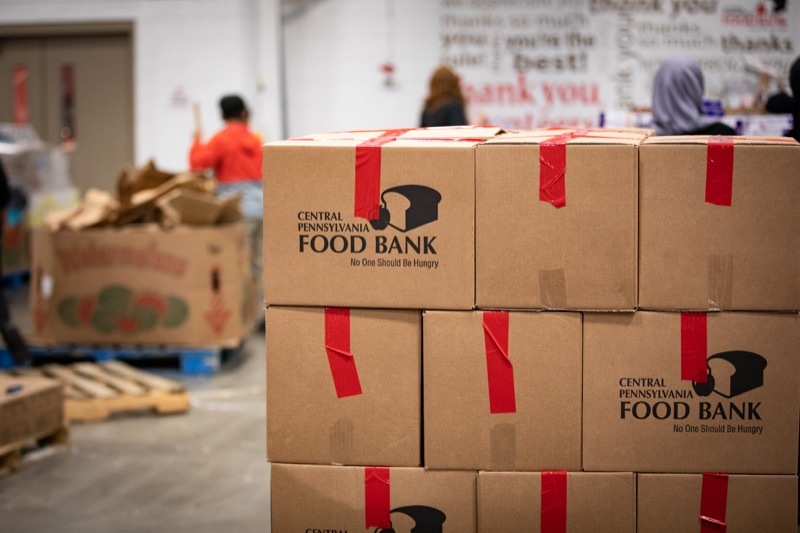 Department of Human Services (DHS) Secretary Teresa Miller and Department of Agriculture Deputy Secretary for Market Development Cheryl Cook today joined the Central Pennsylvania Food Bank and Feeding Pennsylvania to urge Pennsylvanians to support their local food banks following the partial federal government shutdown. 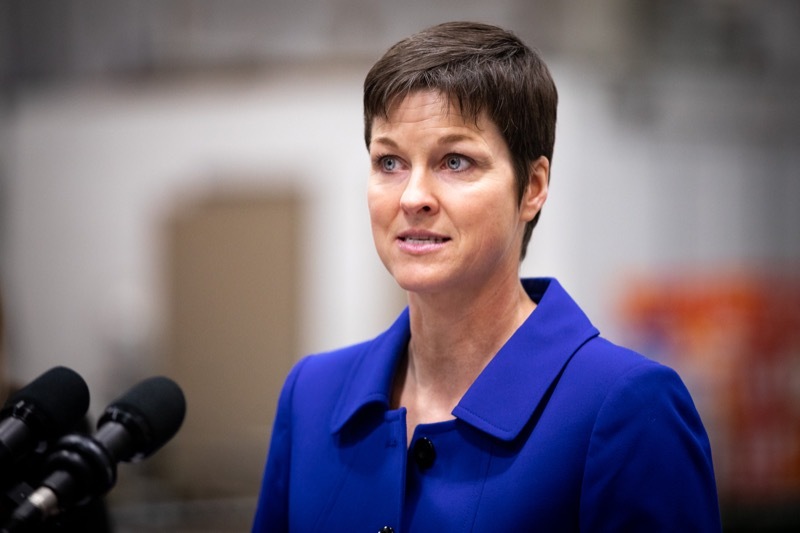 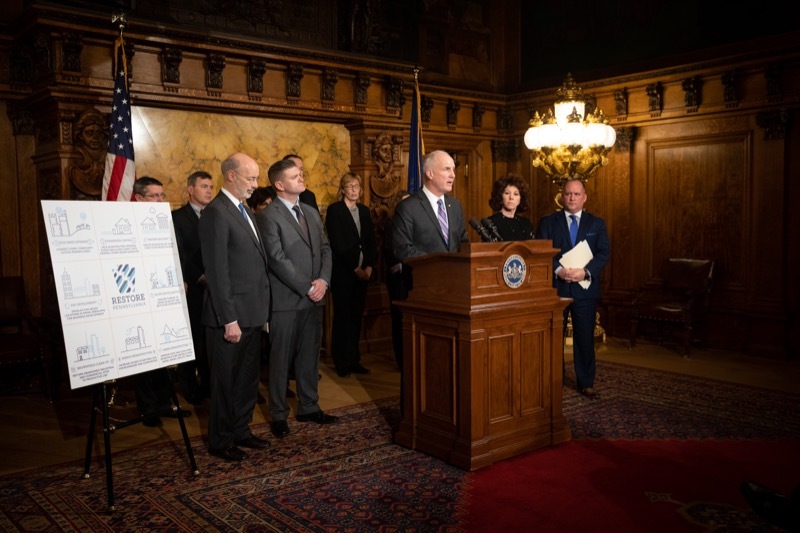 The day after unveiling a plan to create the strongest workforce in the nation, Governor Tom Wolf was joined by Pittsburgh Penguins President and CEO David Morehouse to announce a $442,000 PAsmart advancing grant has been awarded to the Pittsburgh Penguins Foundation. 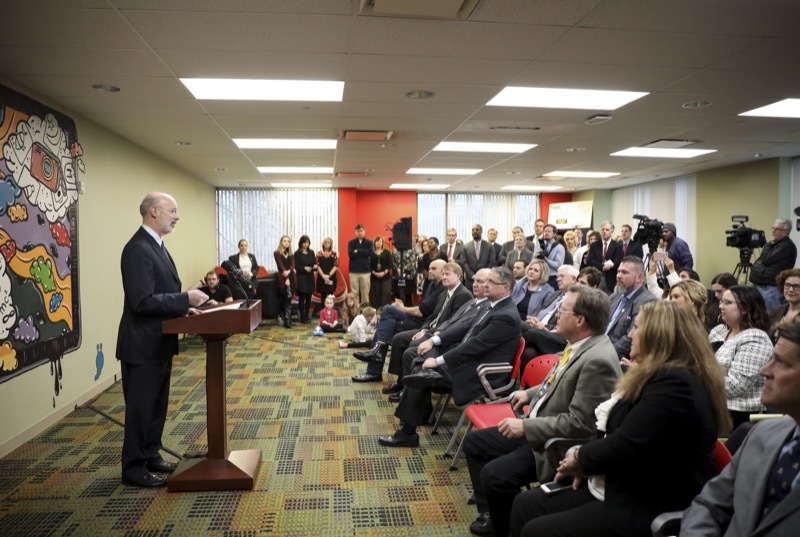 The day after unveiling a plan to create the strongest workforce in the nation, Governor Tom Wolf was joined by Pittsburgh Penguins President and CEO David Morehouse to announce a $442,000 PAsmart advancing grant has been awarded to the Pittsburgh Penguins Foundation. 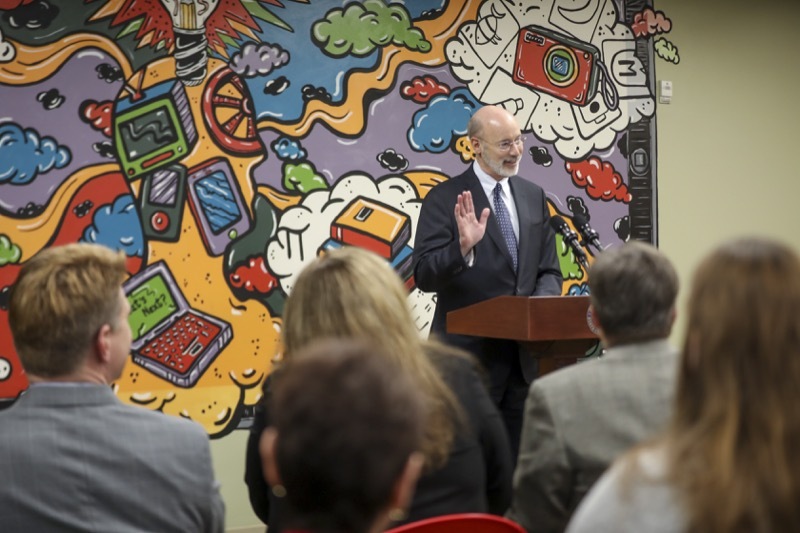 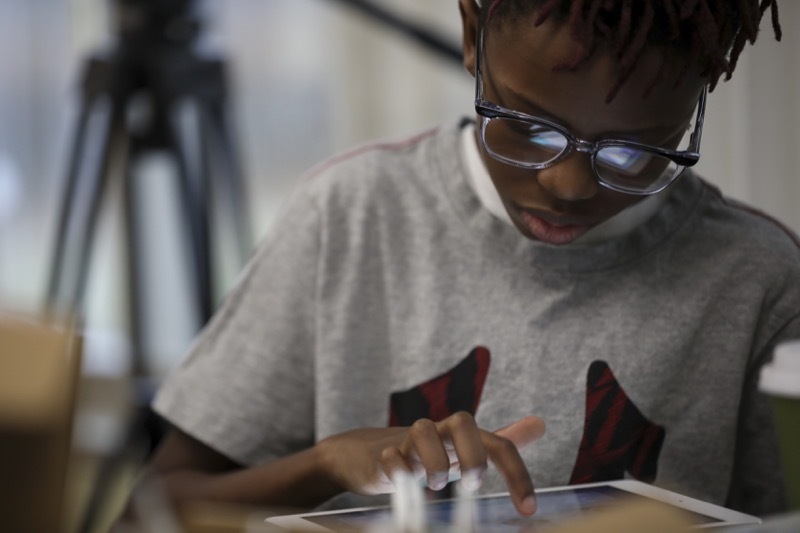 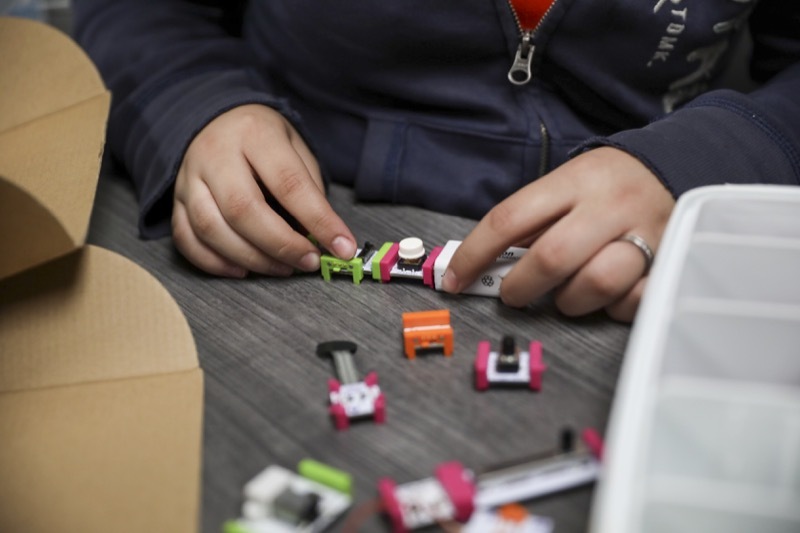 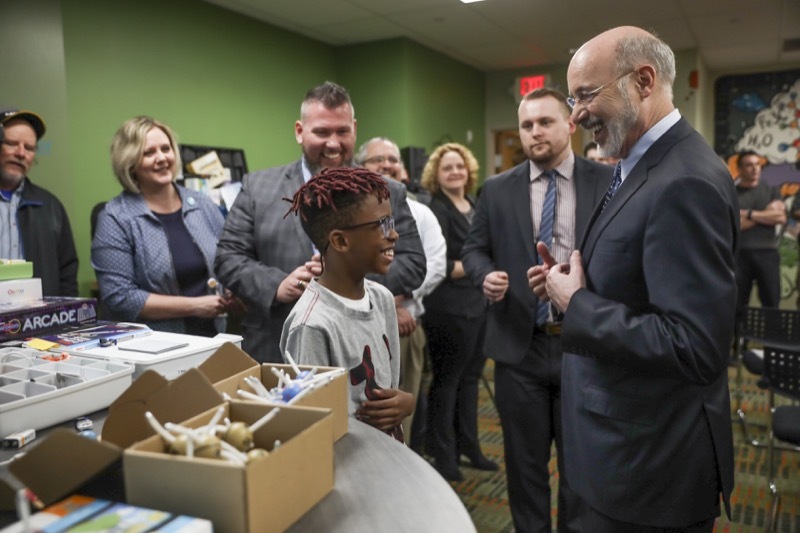 The state grant will help expand the foundation's STEAM (science, technology, engineering, arts and mathematics) Lending Library to benefit thousands of students across western Pennsylvania. 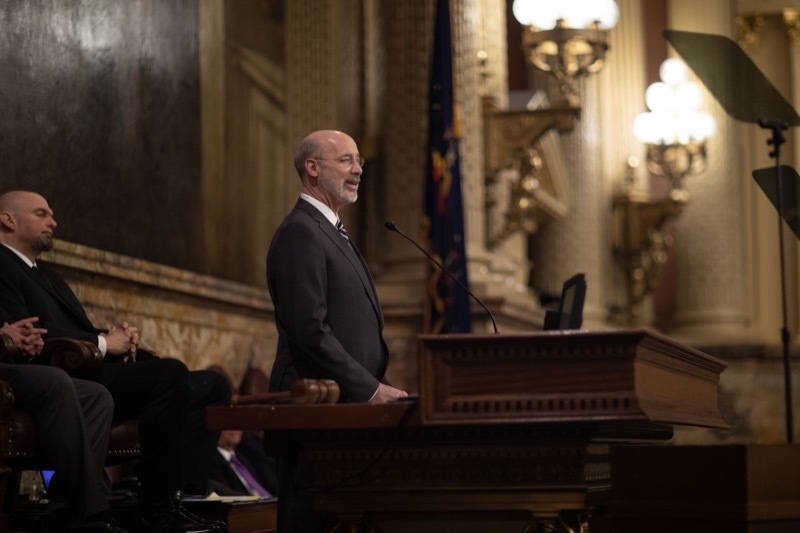 Punxsutawney Phil Predicts A Rare Early Spring on Groundhog Day 2019 Punxsutawney, PA - This morning, Pennsylvania's own world-famous groundhog, Punxsutawney Phil, predicted an early spring after not seeing his shadow, a prediction so rare that it has only happened 19 times in the 133-year history of Groundhog Day. 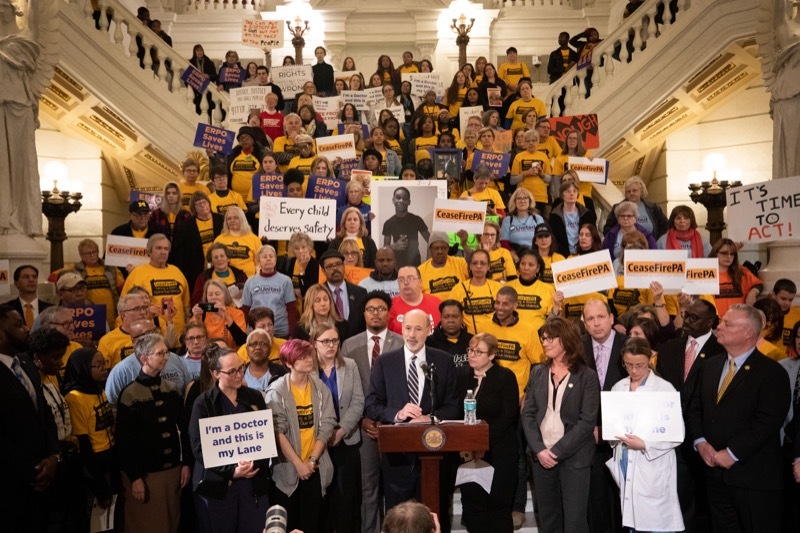 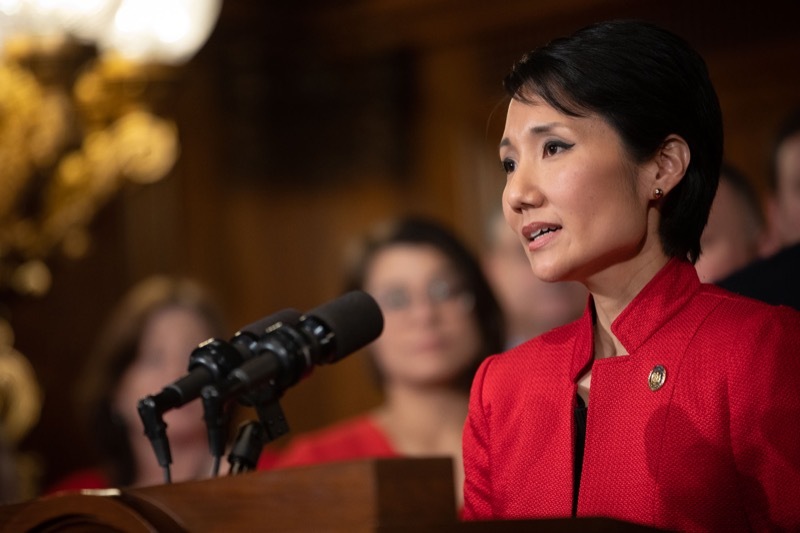 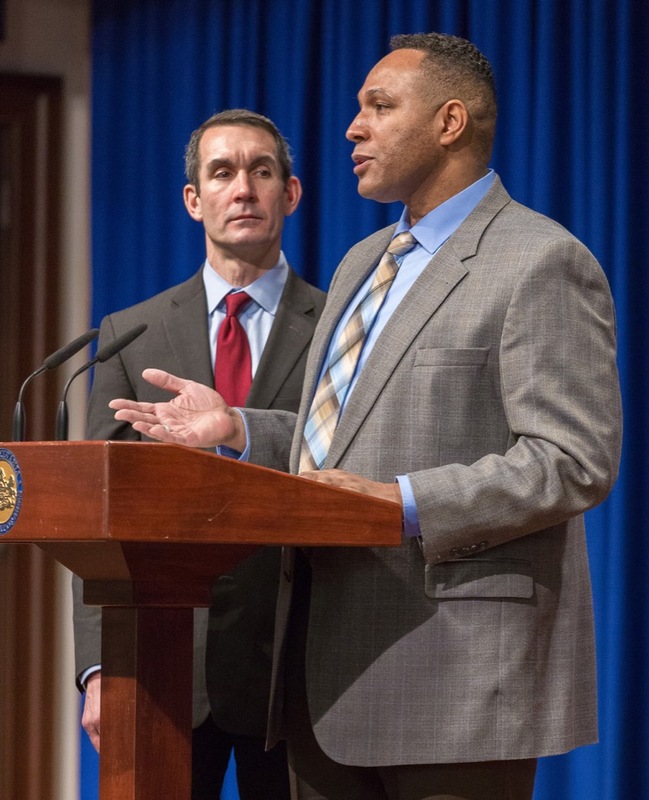 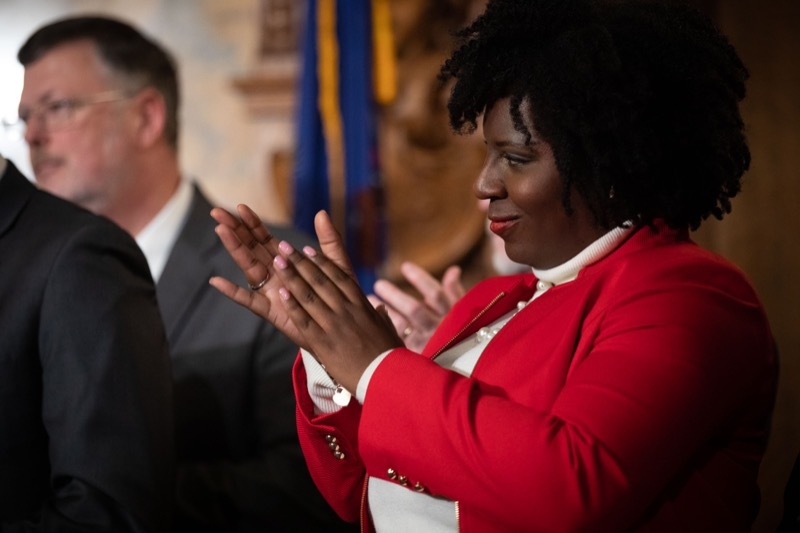 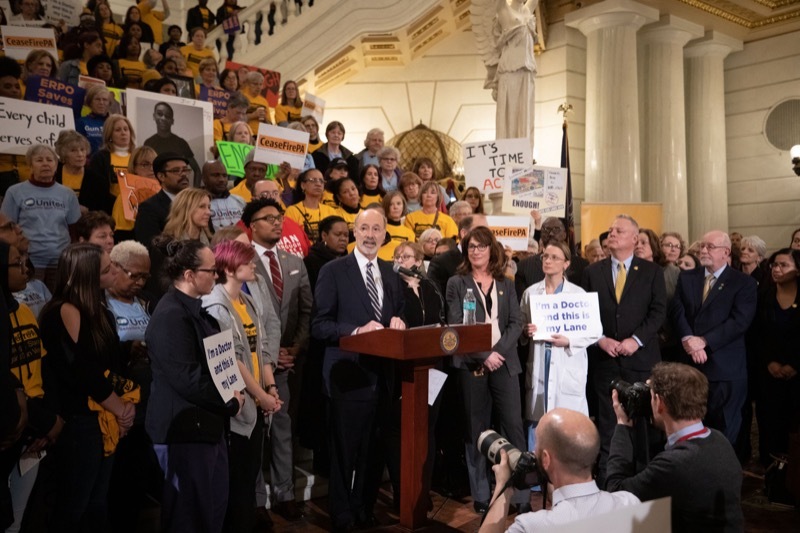 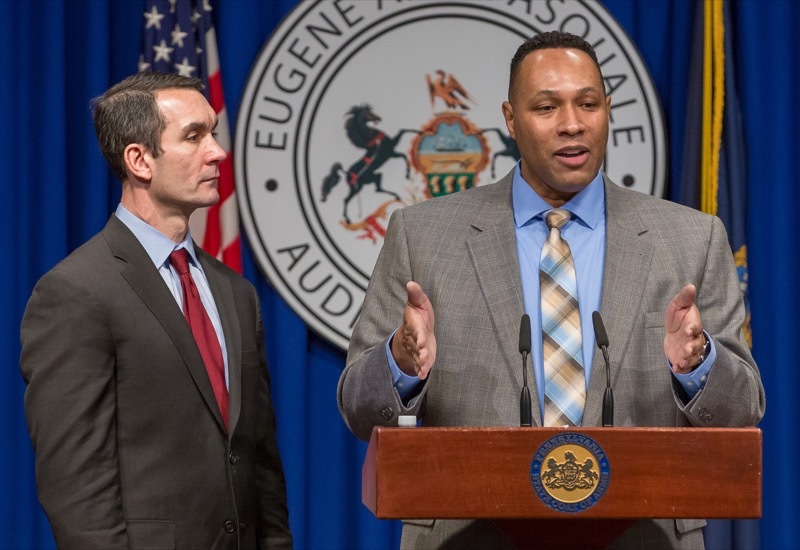 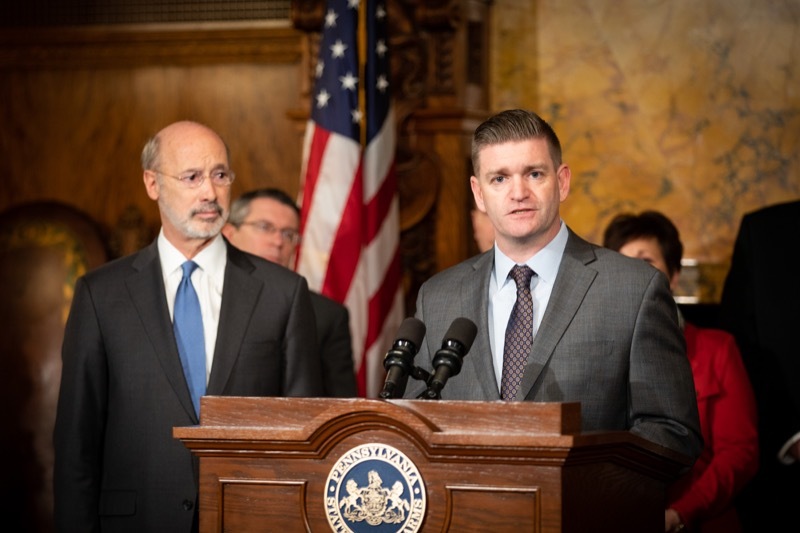 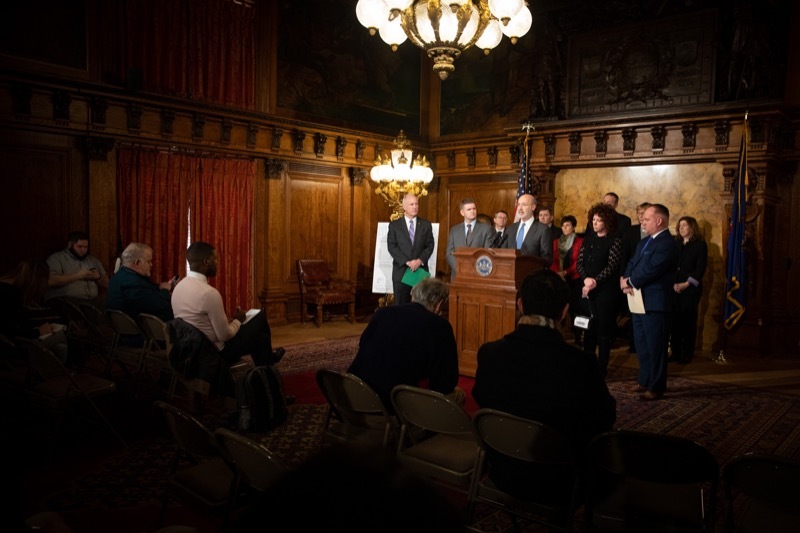 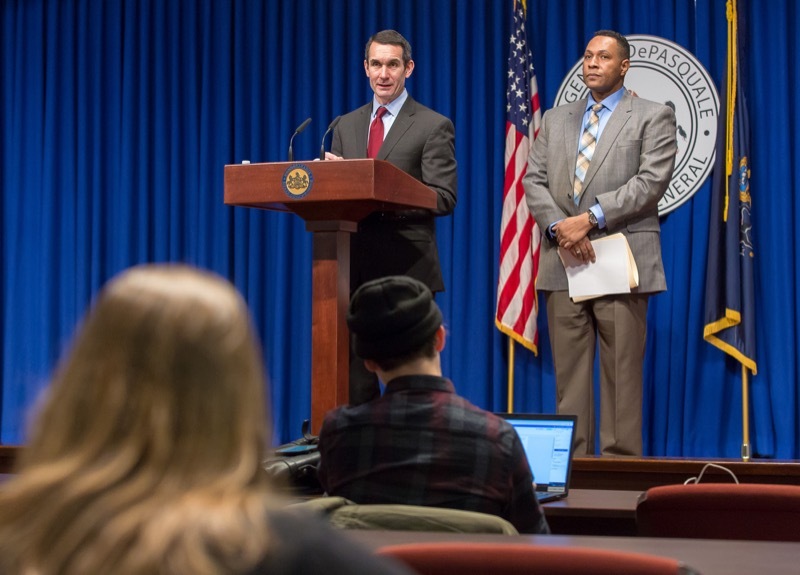 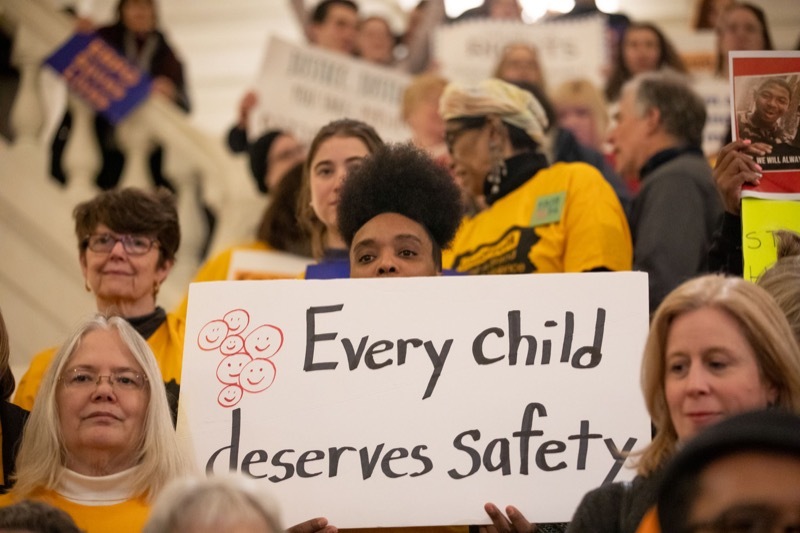 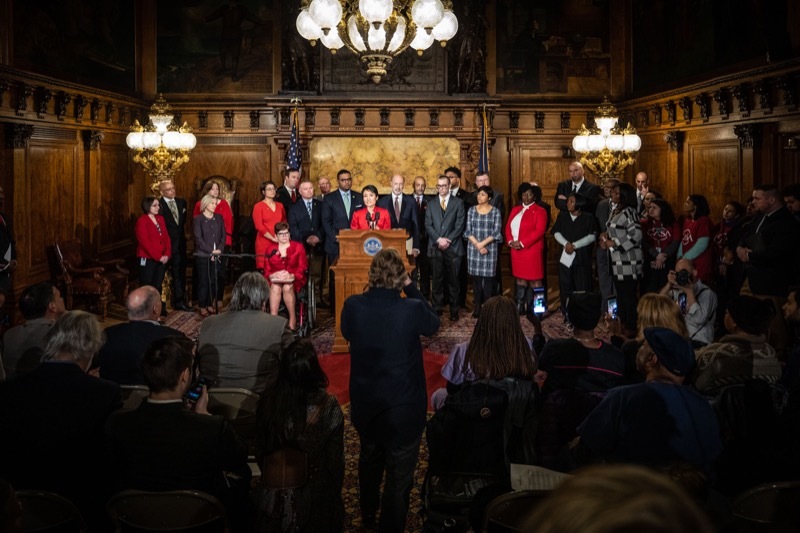 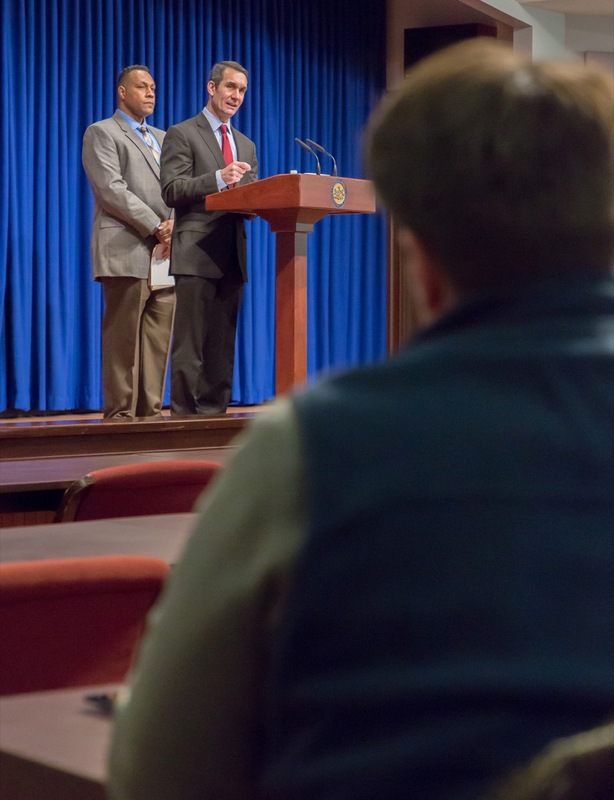 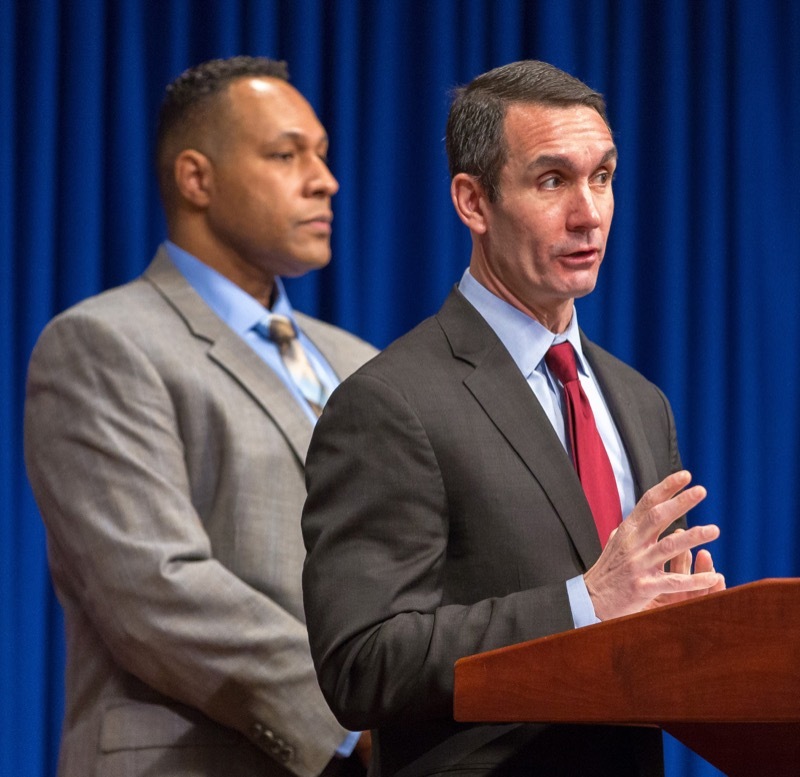 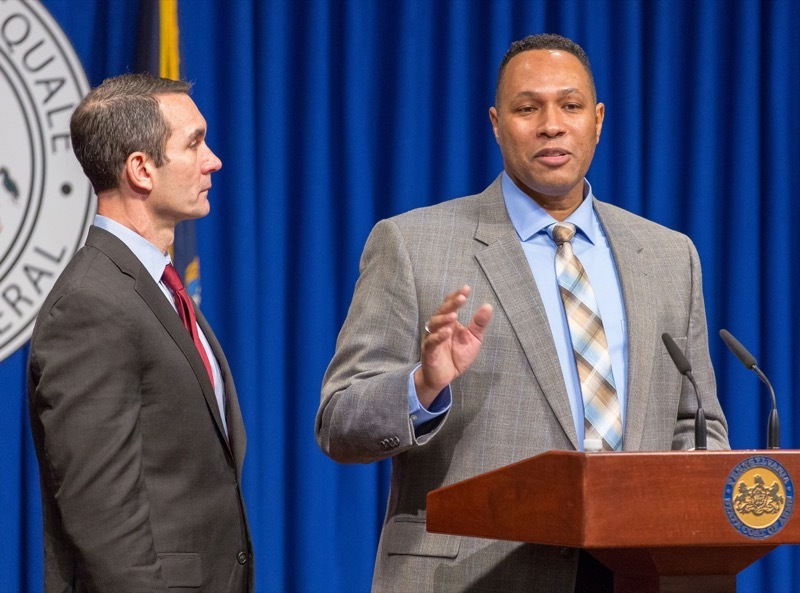 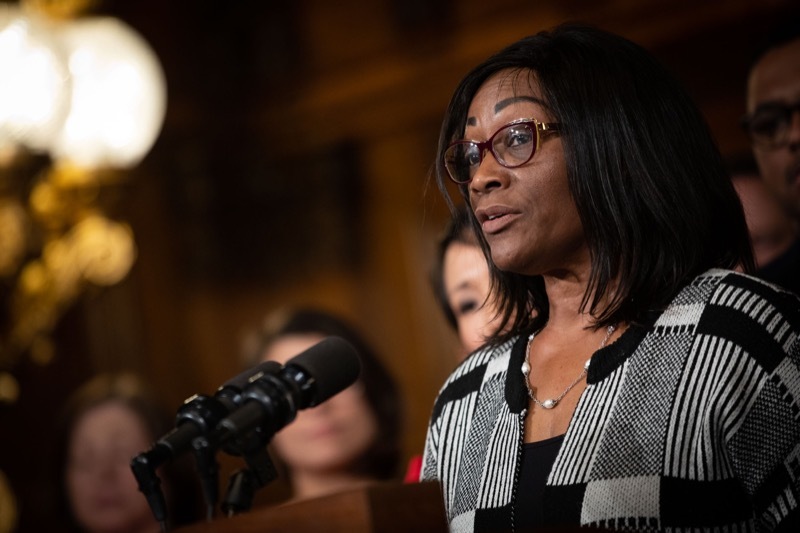 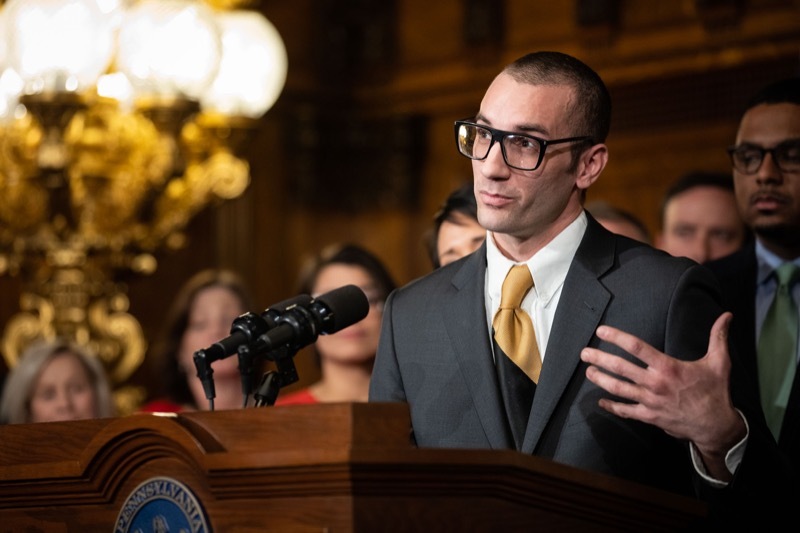 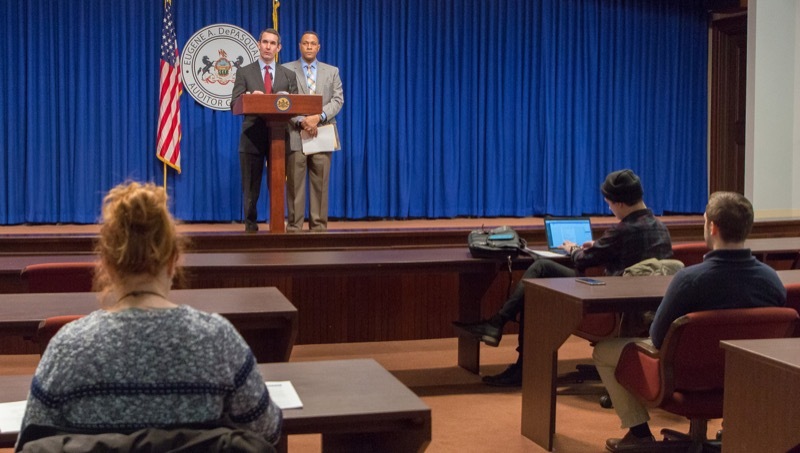 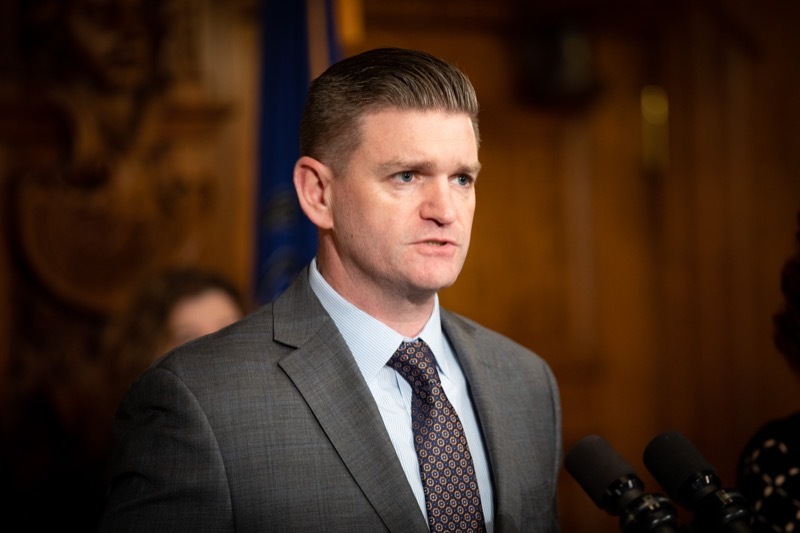 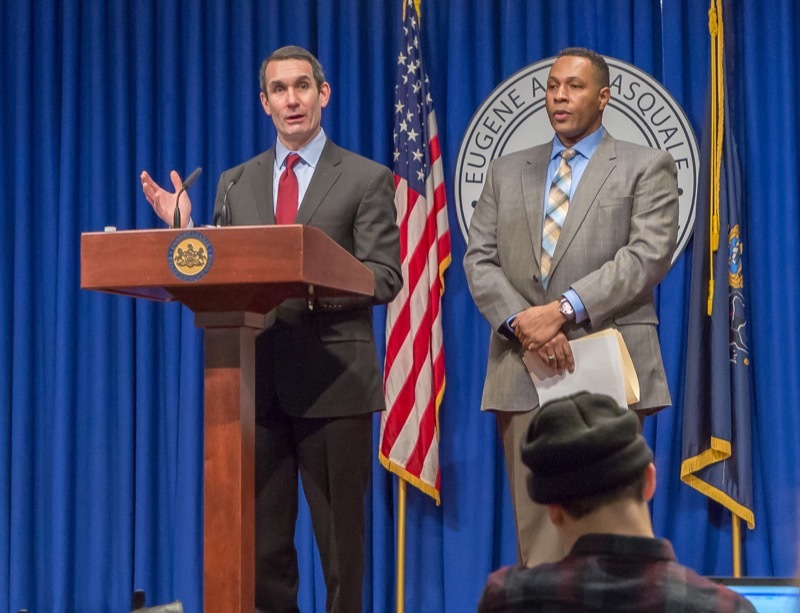 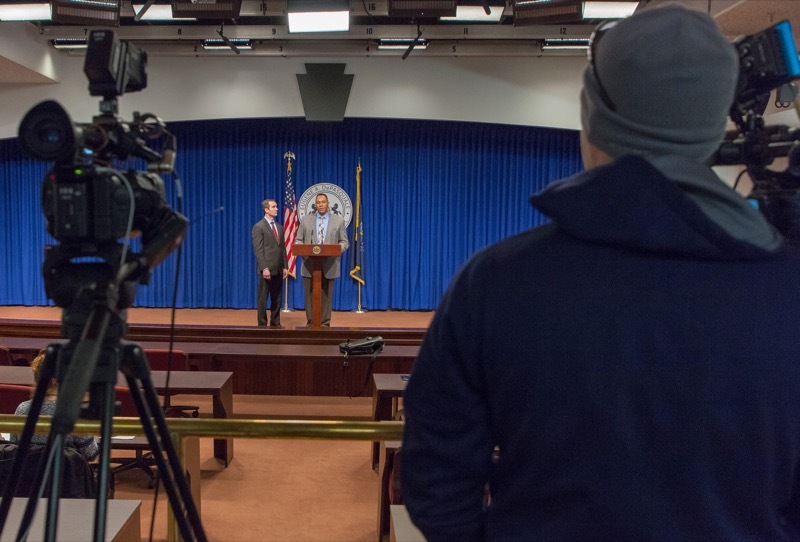 HARRISBURG - Auditor General Eugene DePasquale today said he will follow up on his 'State of the Child' reports to ensure Pennsylvania is doing everything it can to protect at-risk children from neglect and abuse. 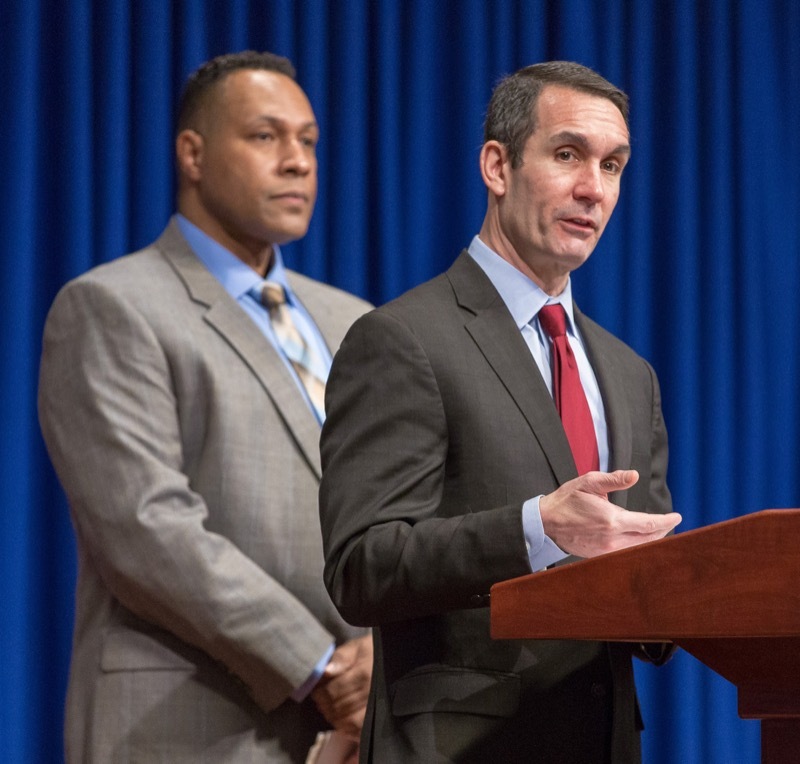 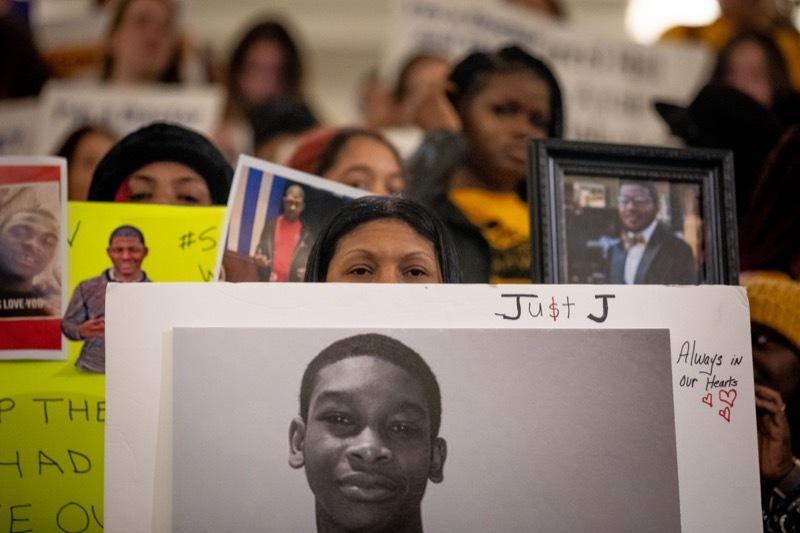 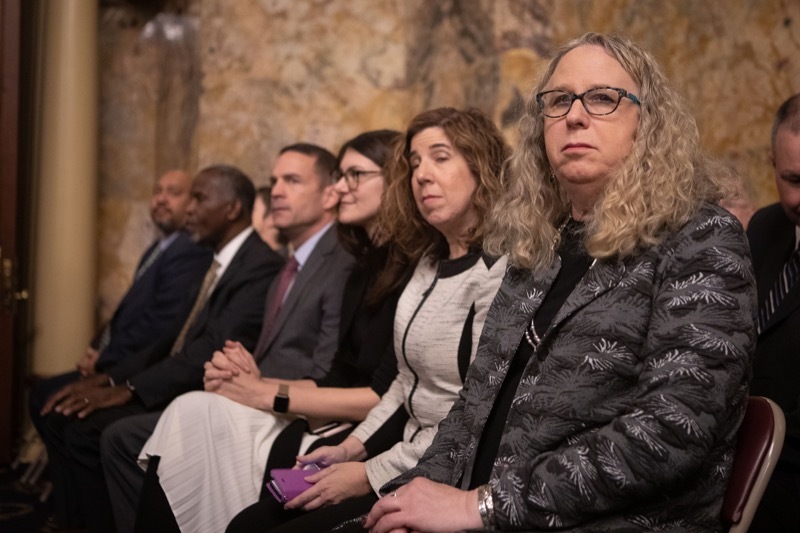 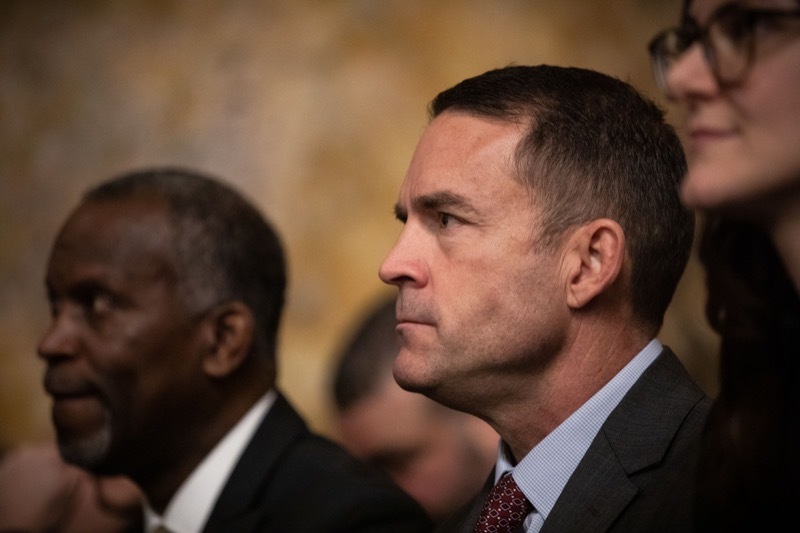 DePasquale said his review will focus on the Department of Human Services' (DHS) Bureau of Hearings and Appeals, how the bureau functions and whether it is effectively helping to protect at-risk children from their abusers. 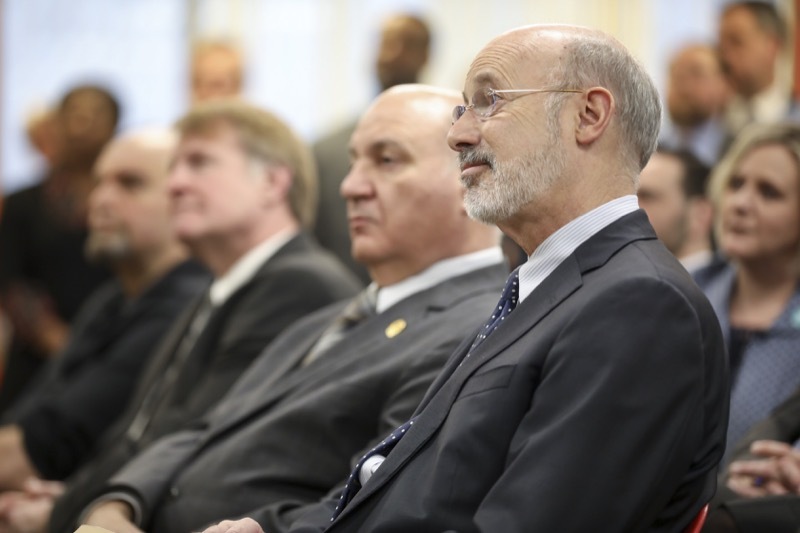 It serves as an administrative court on hundreds of issues that come before DHS. 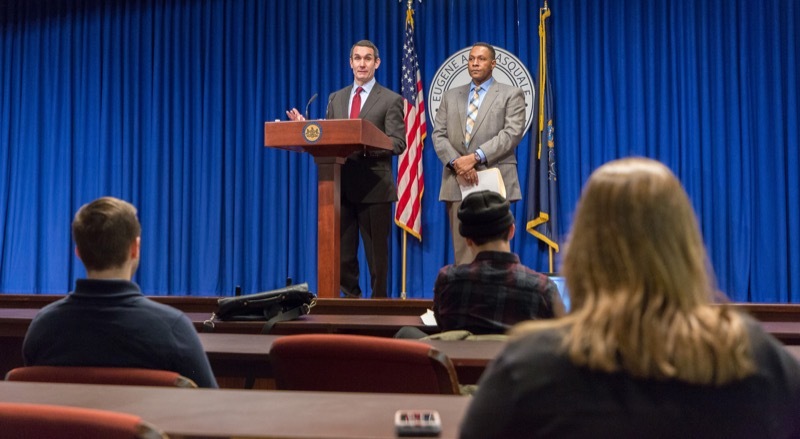 HARRISBURG - Auditor General Eugene DePasquale today said he will follow up on his 'State of the Child' reports to ensure Pennsylvania is doing everything it can to protect at-risk children from neglect and abuse. 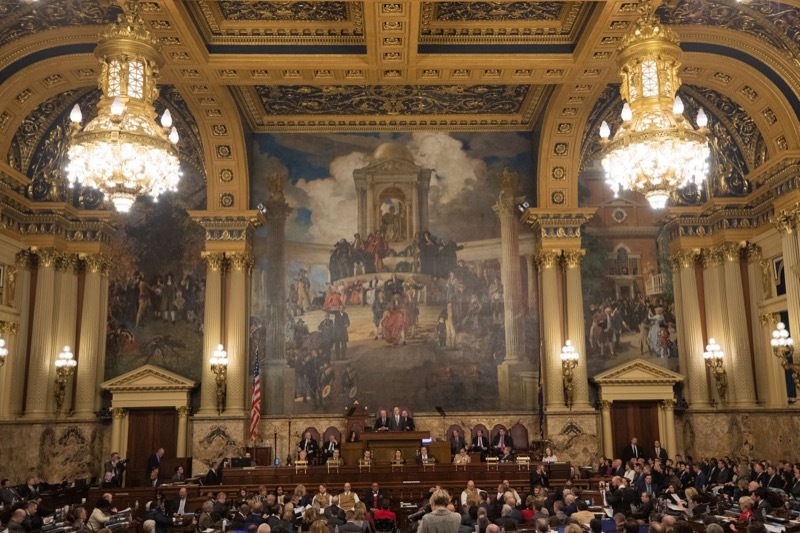 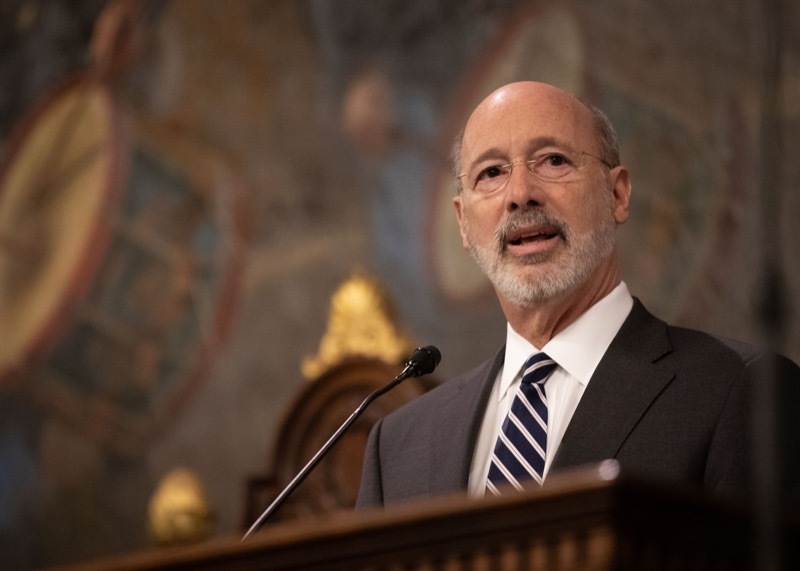 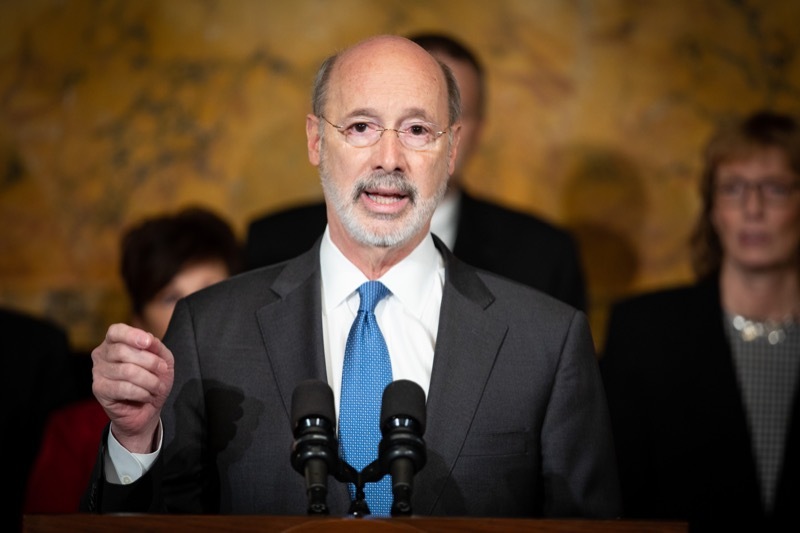 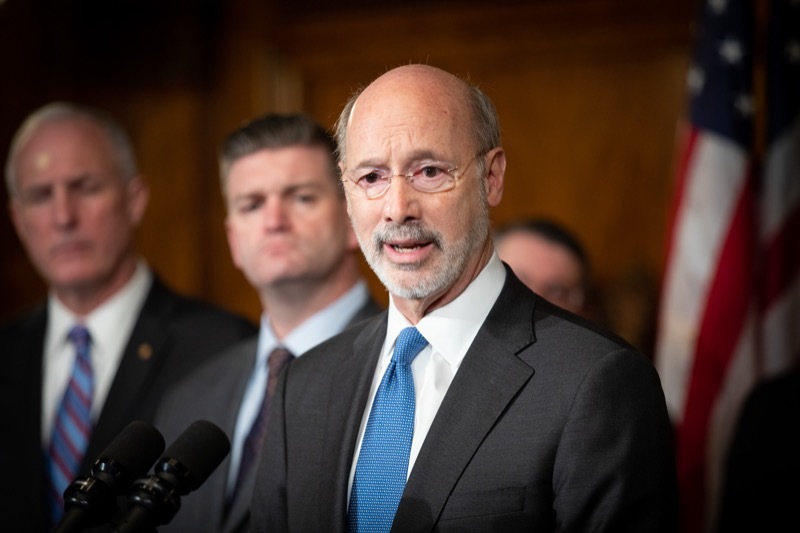 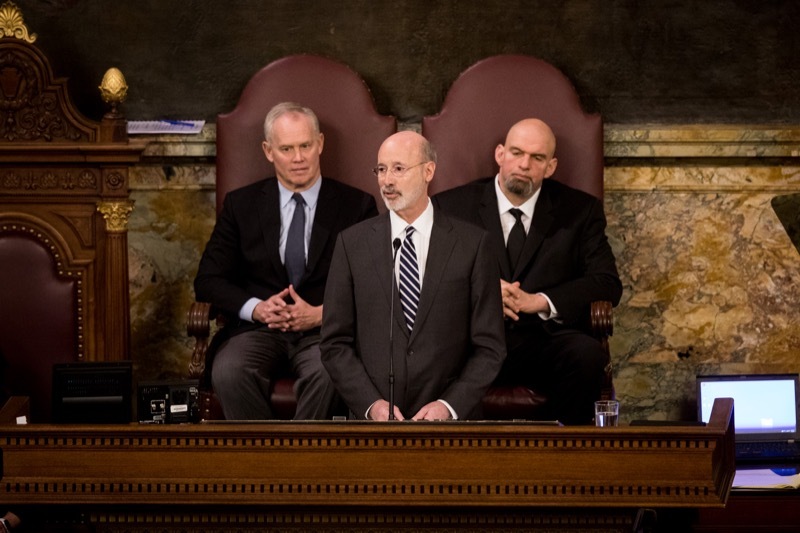 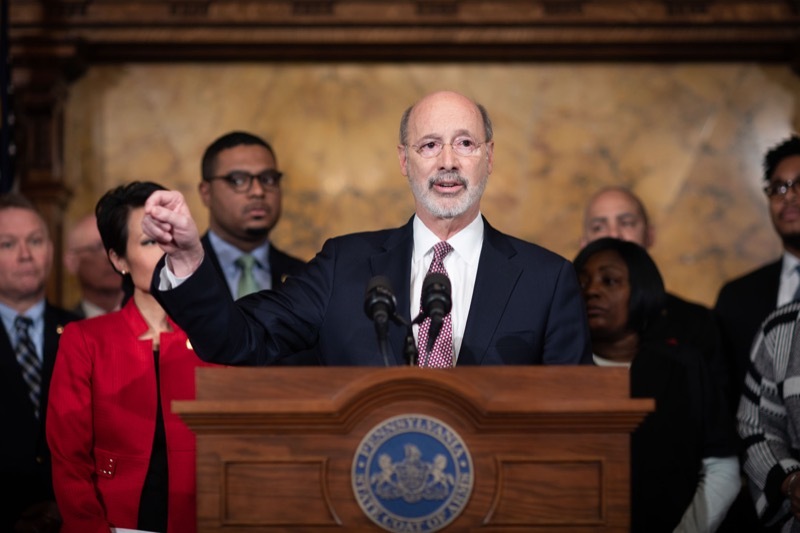 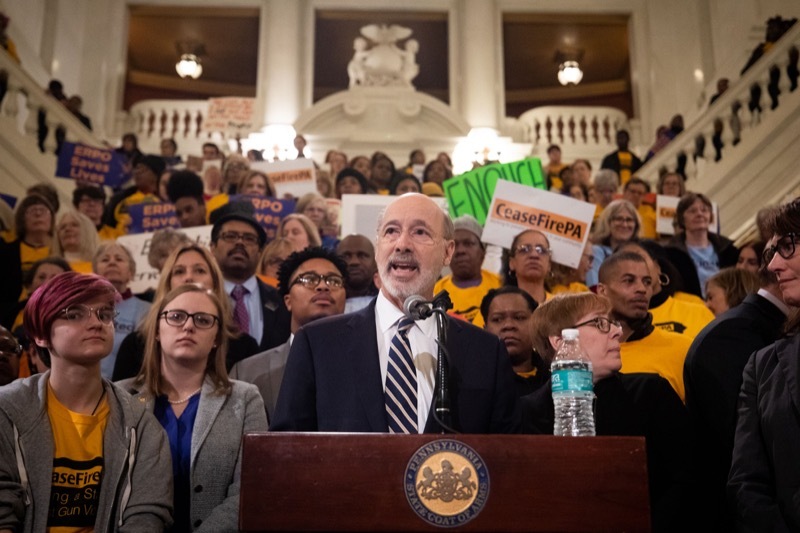 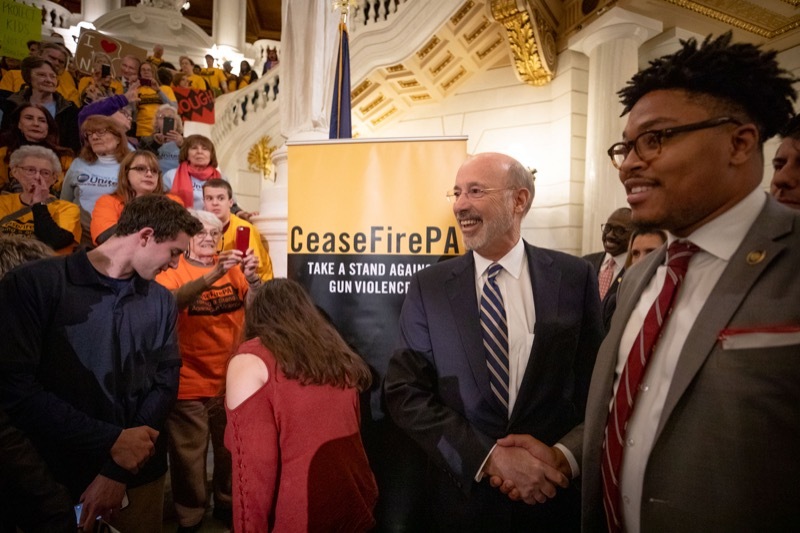 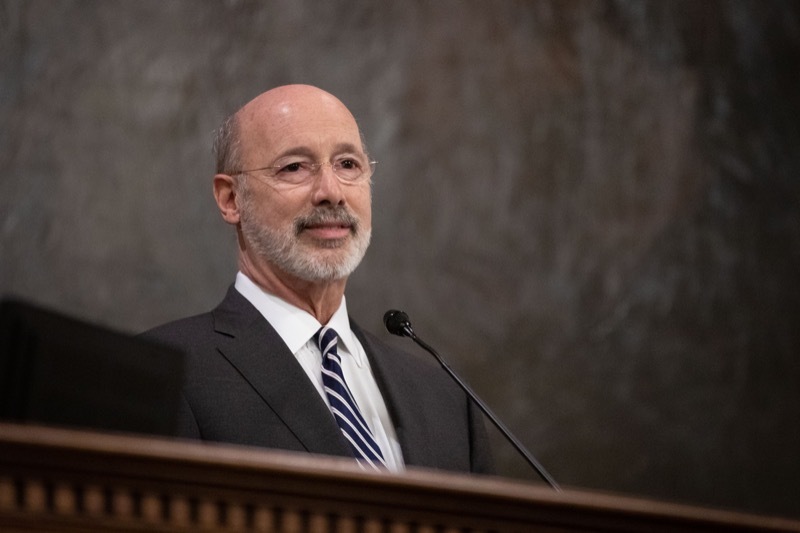 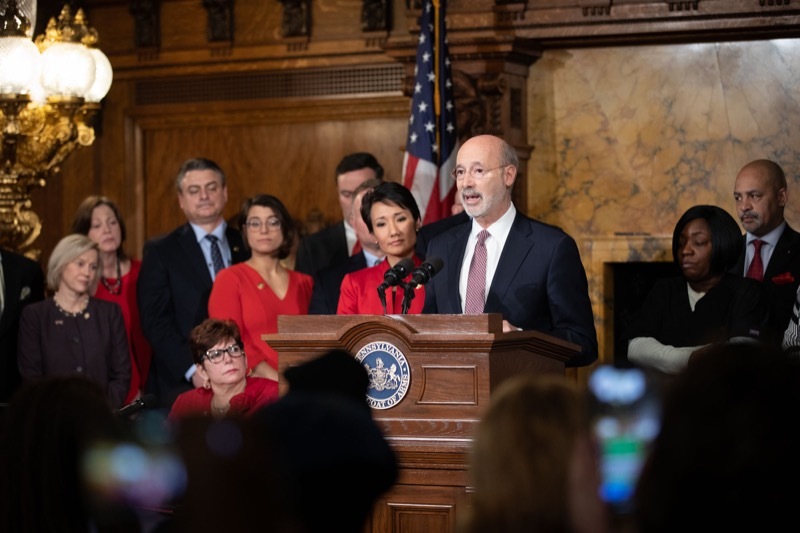 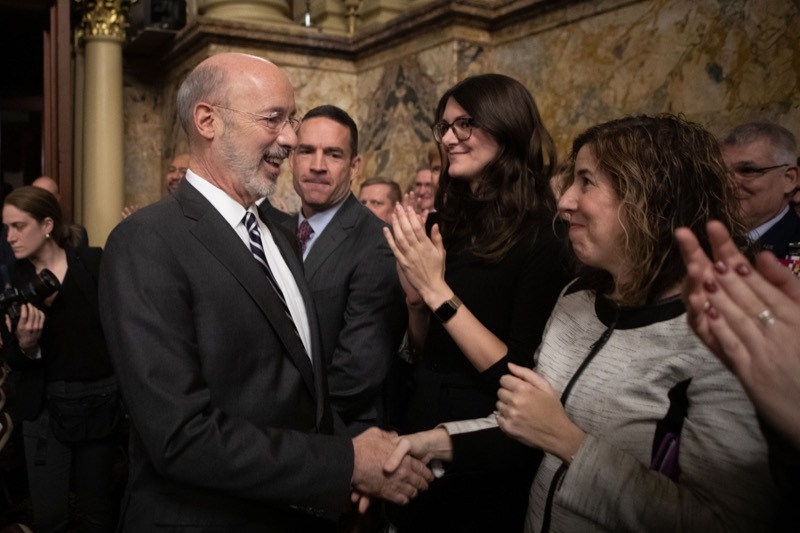 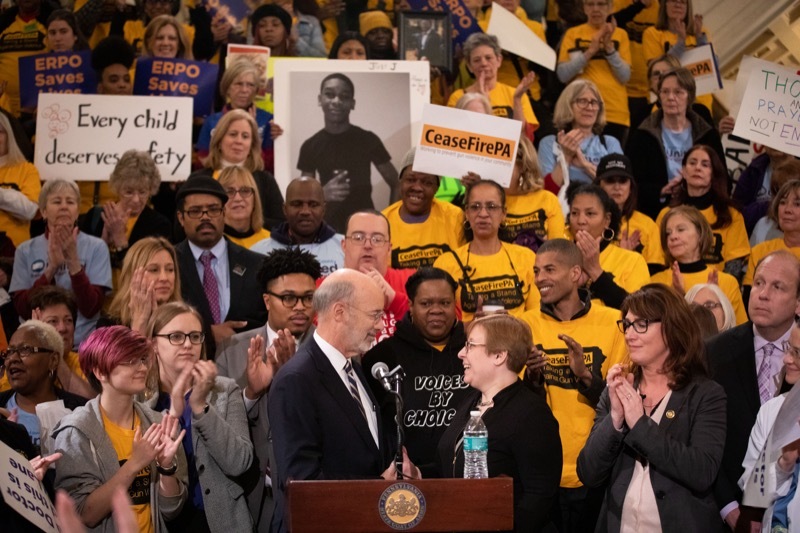 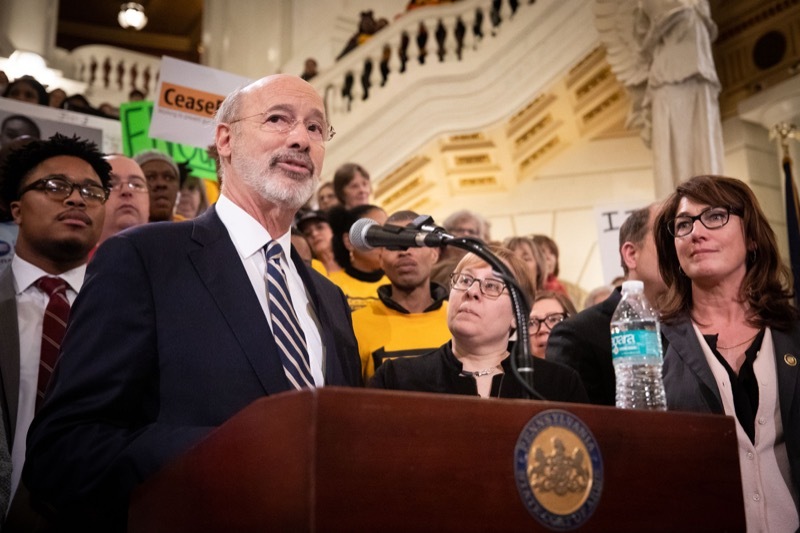 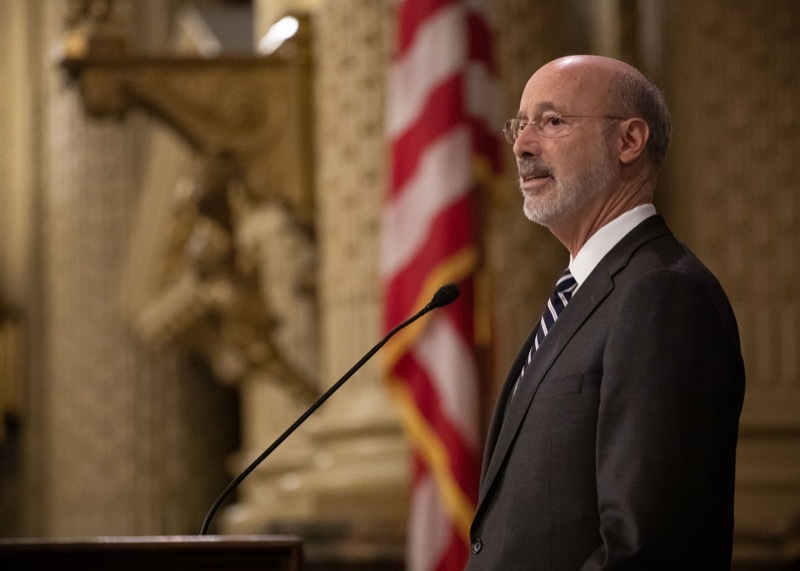 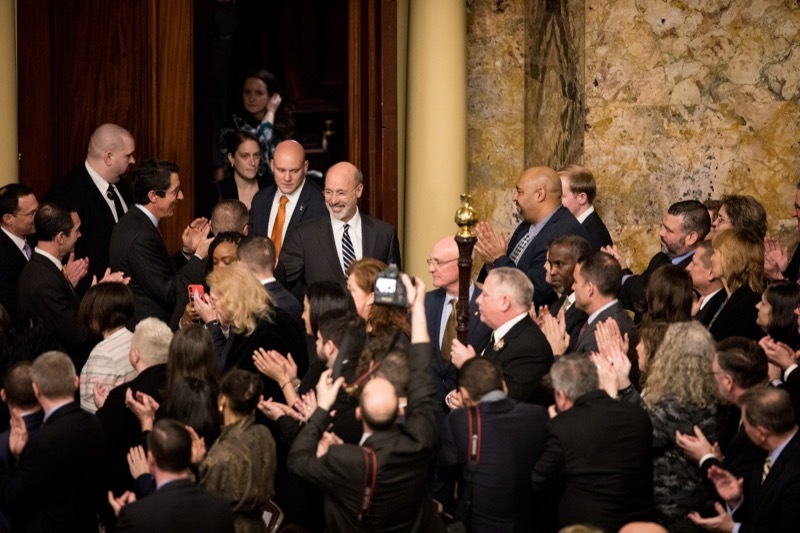 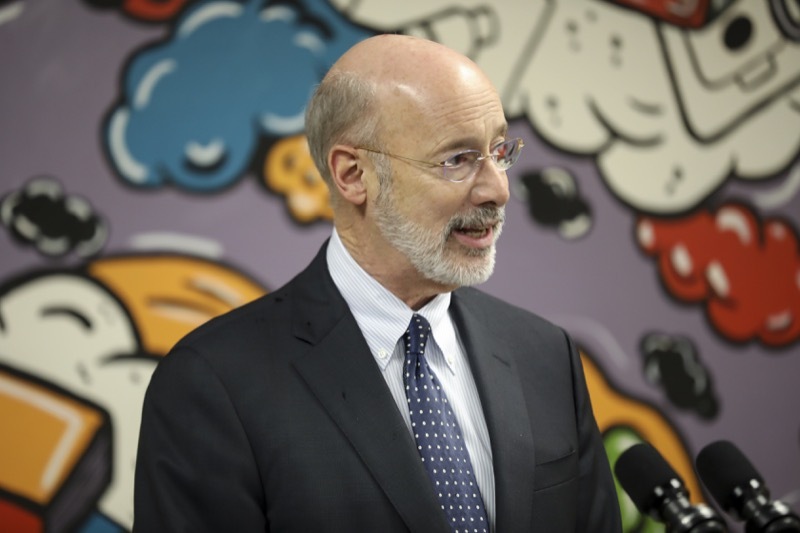 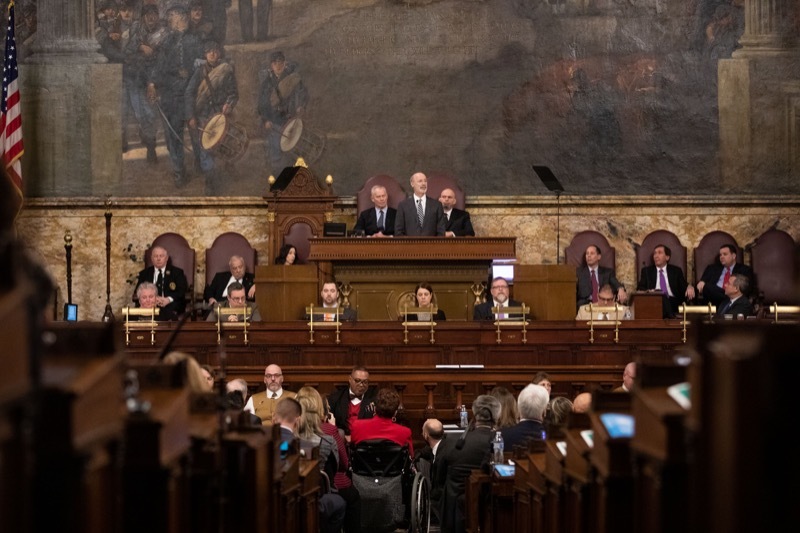 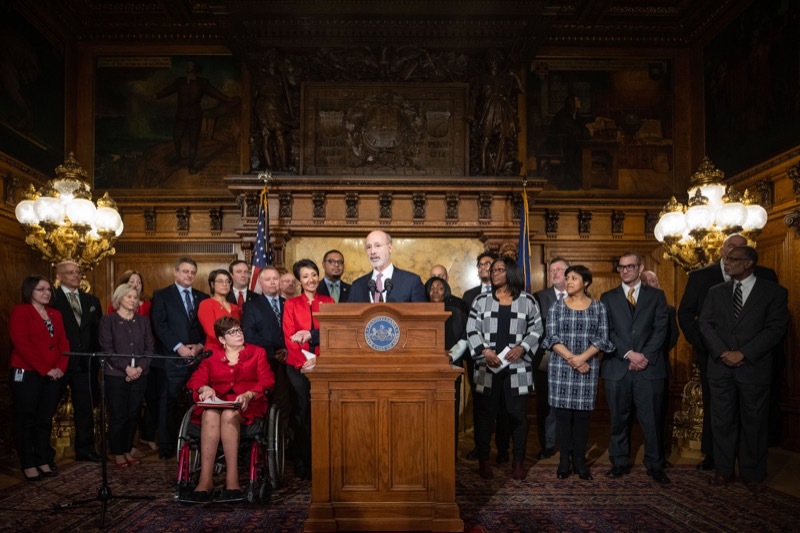 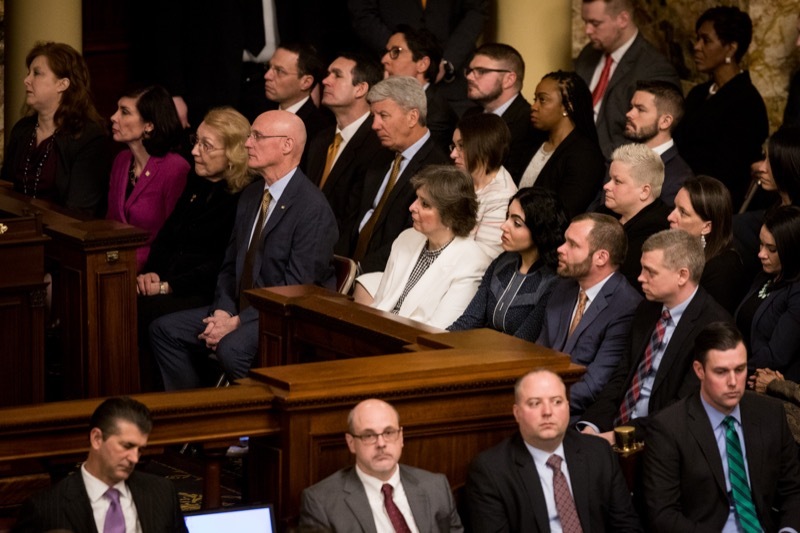 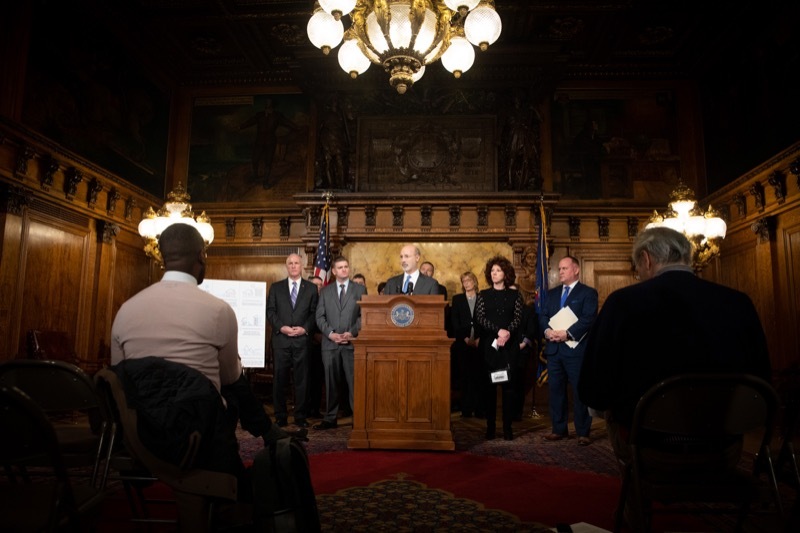 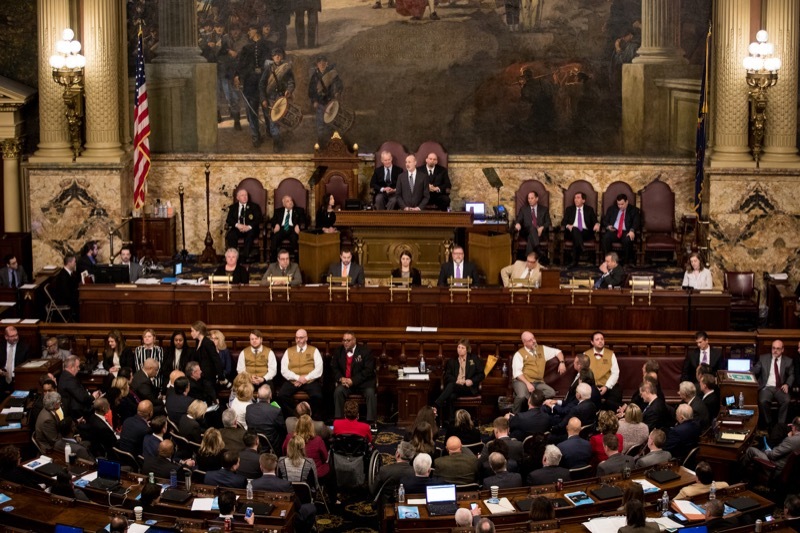 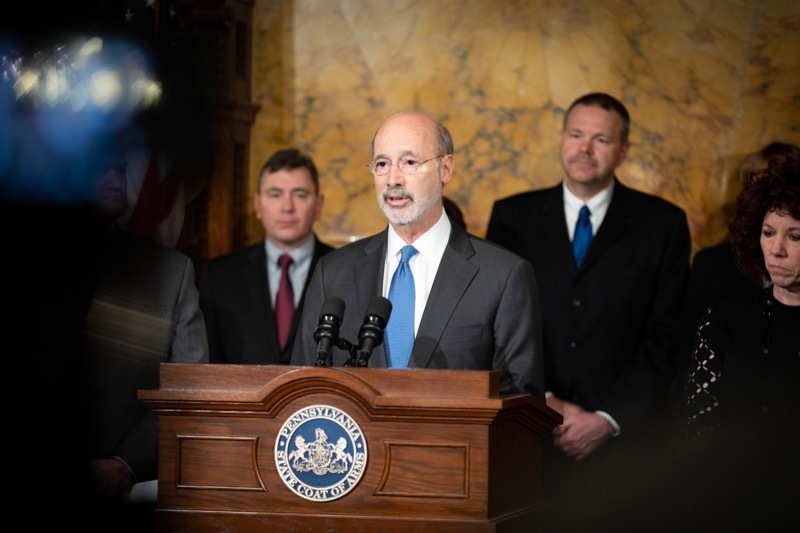 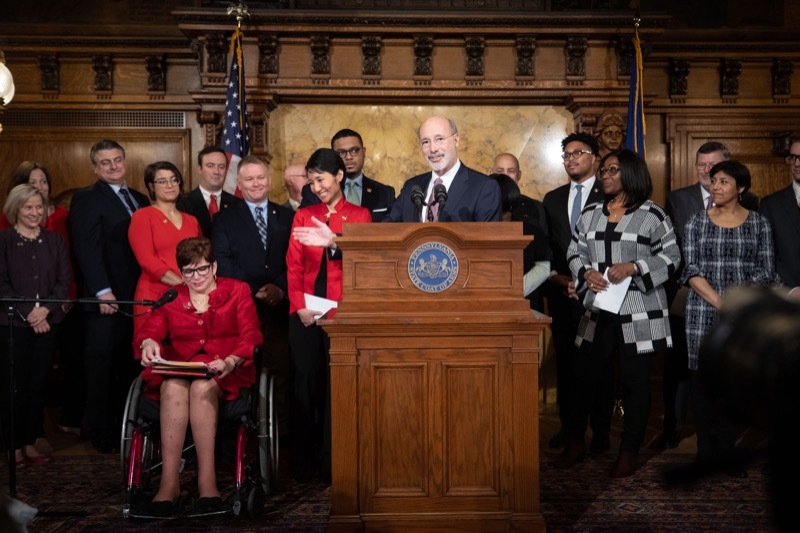 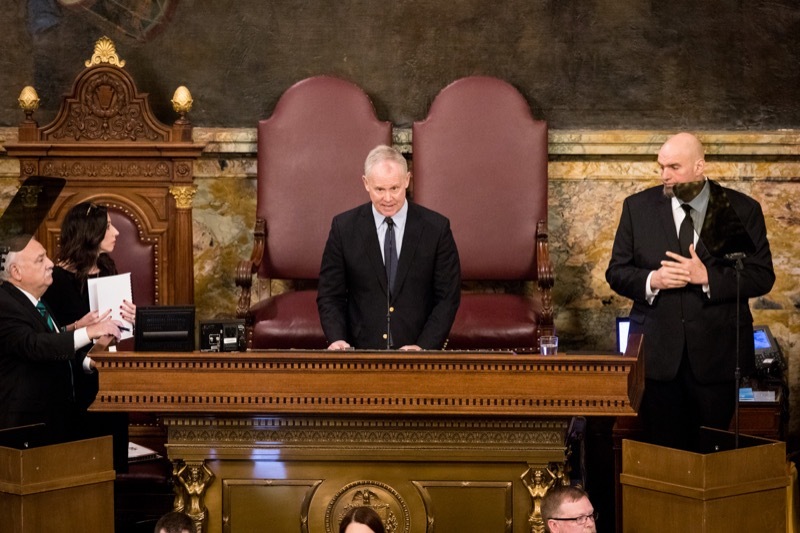 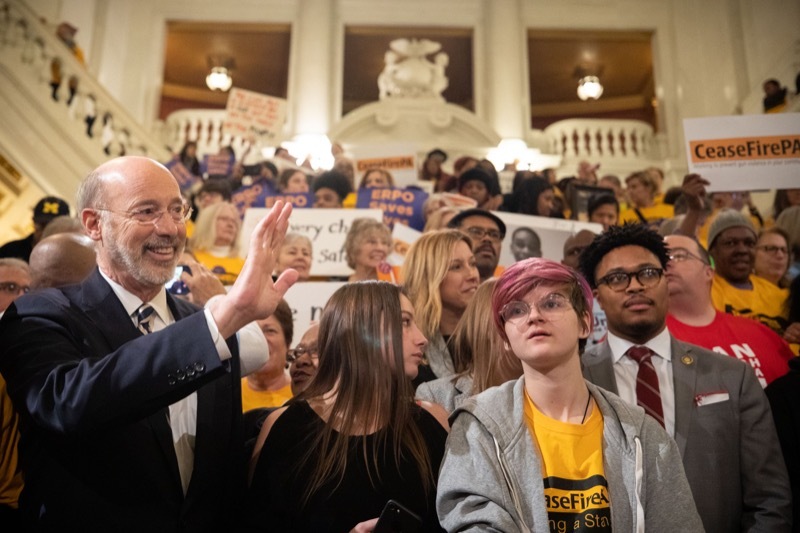 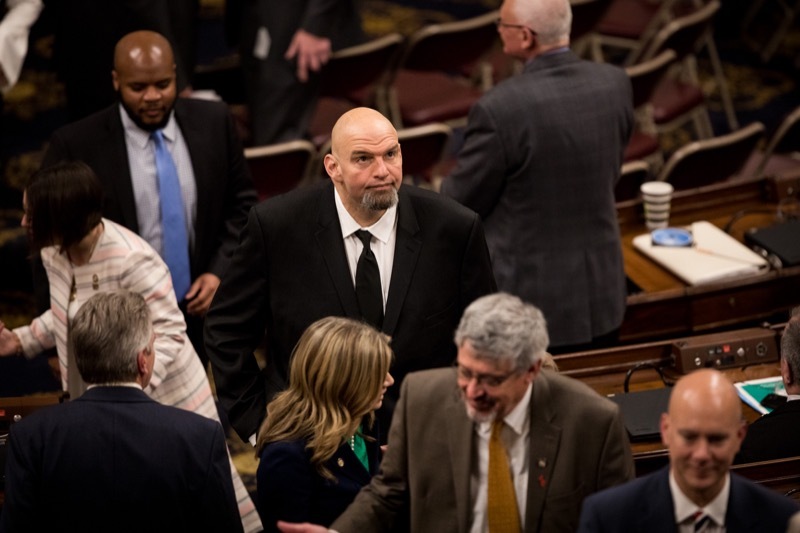 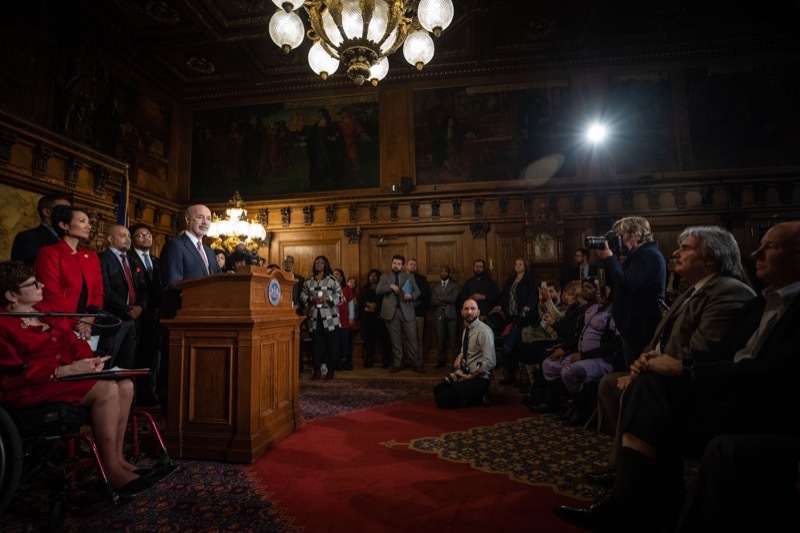 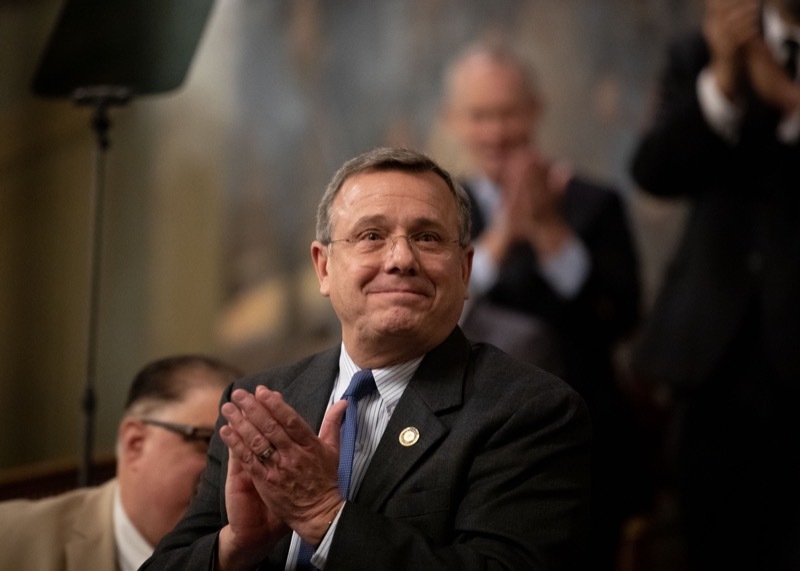 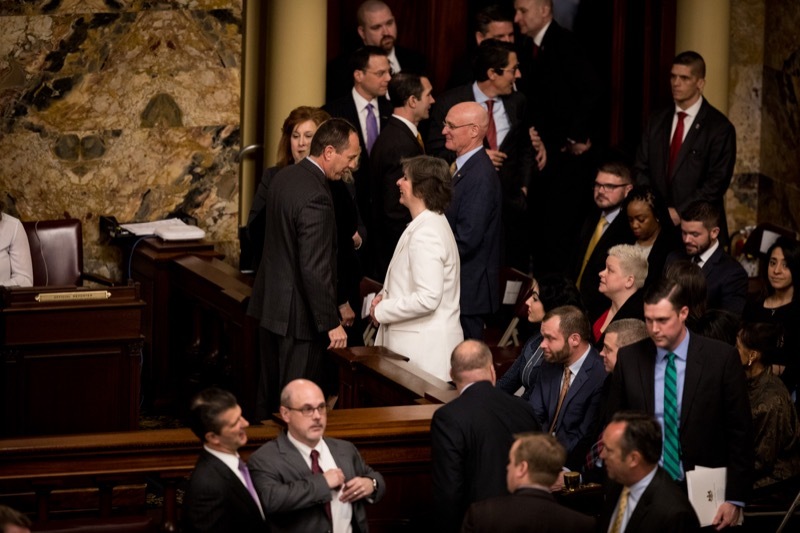 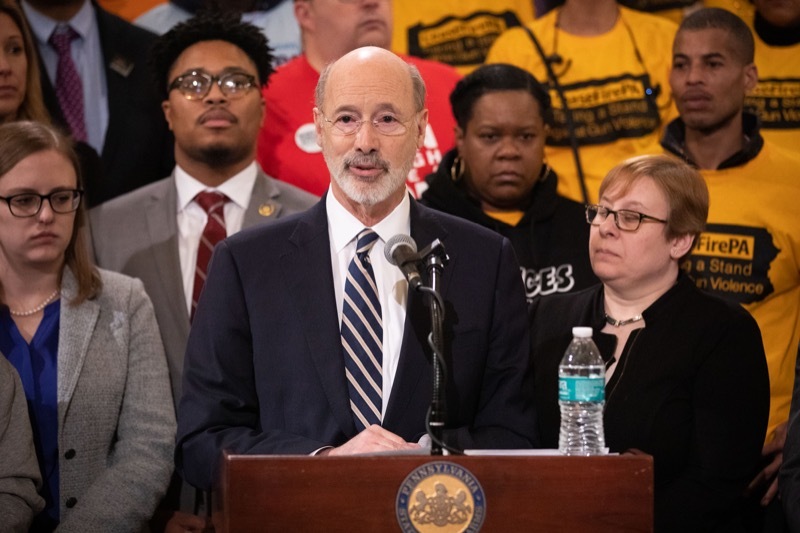 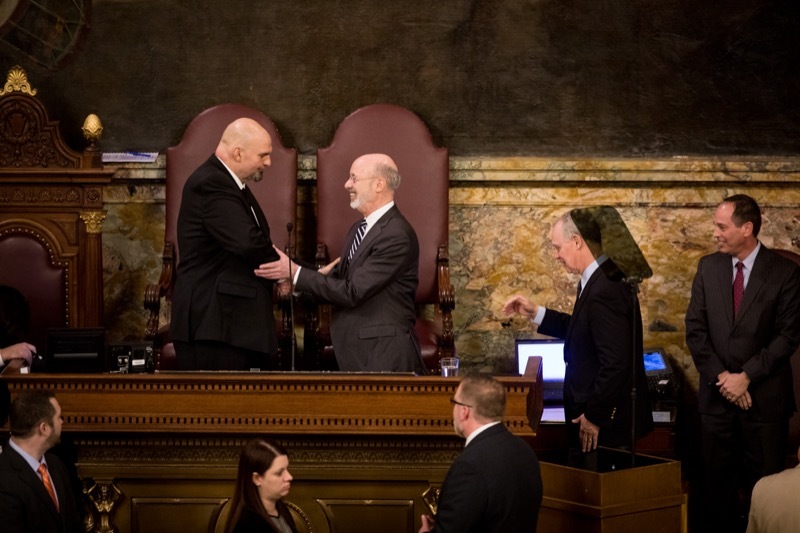 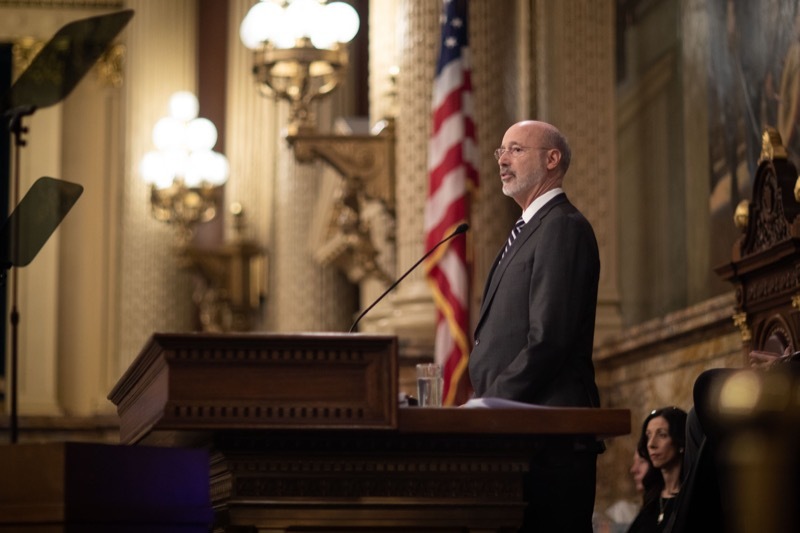 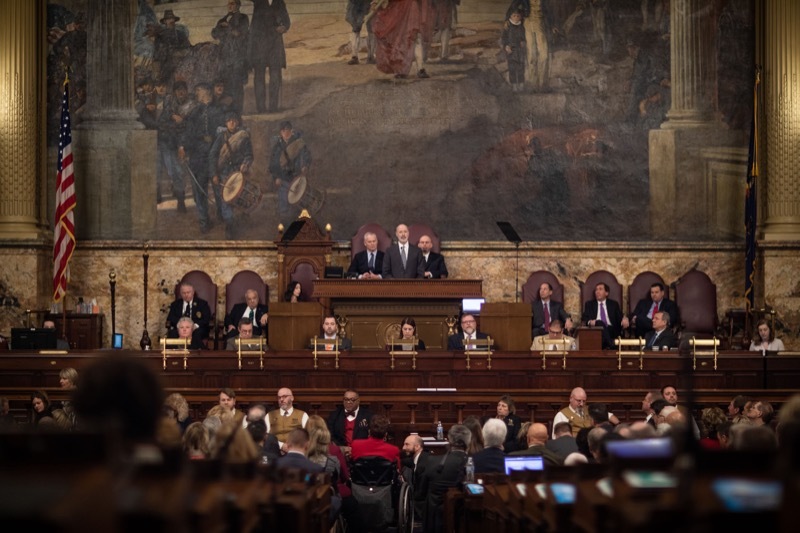 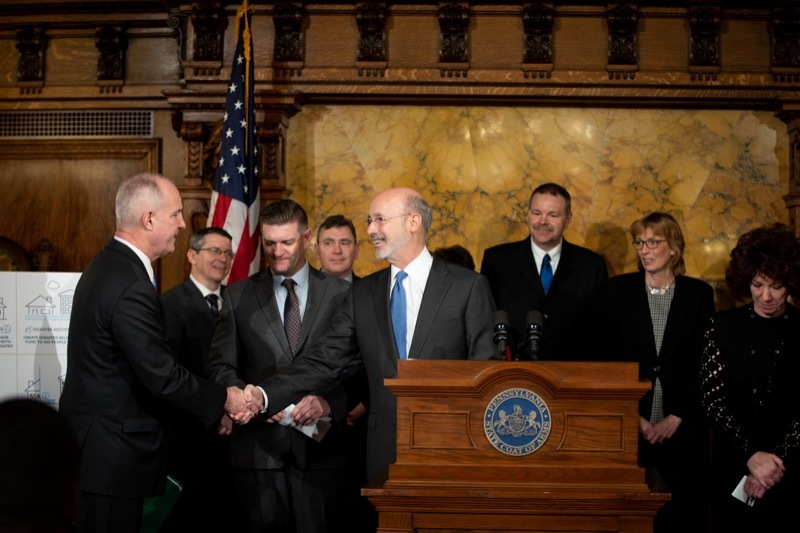 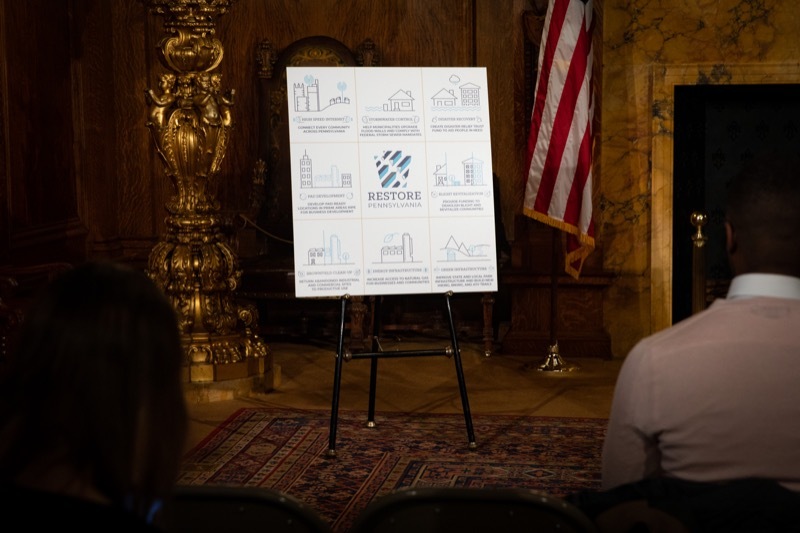 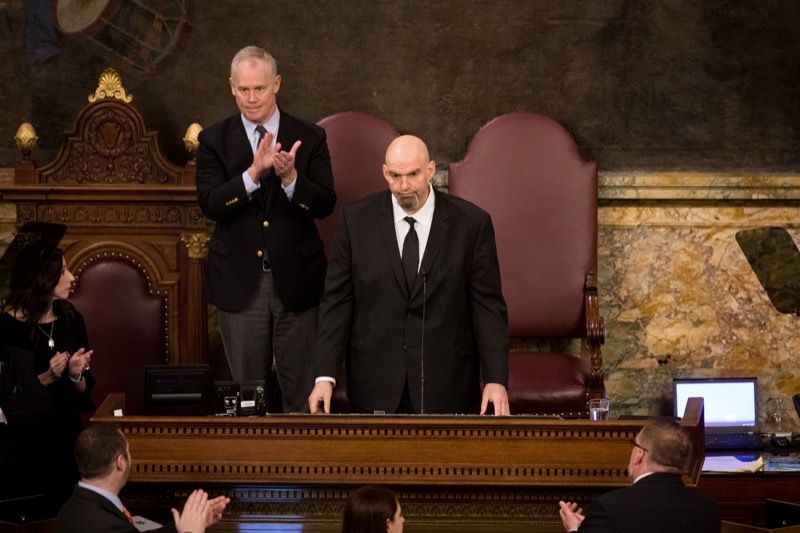 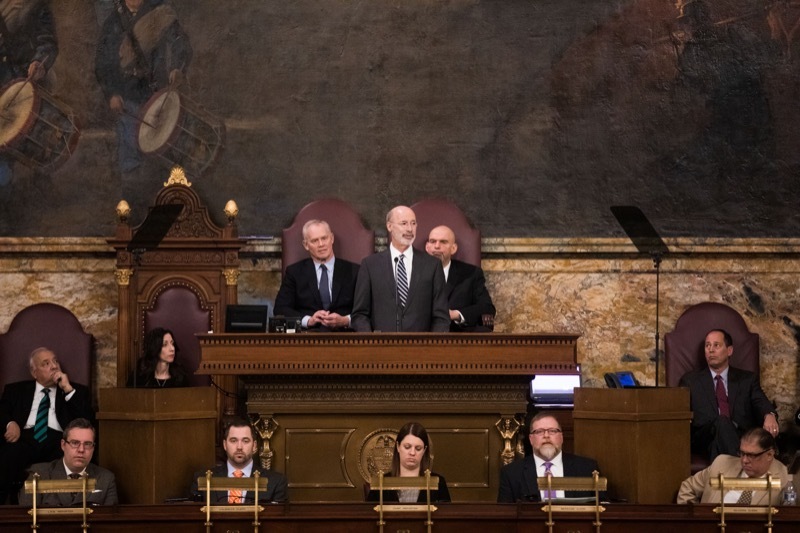 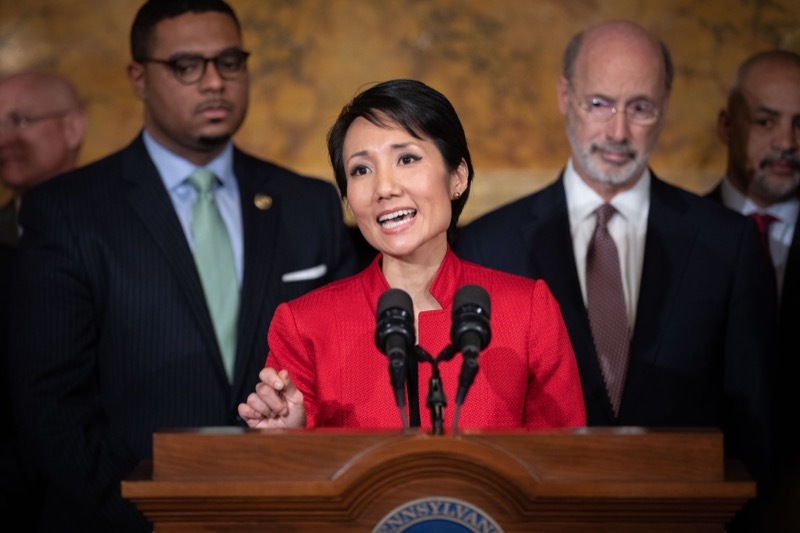 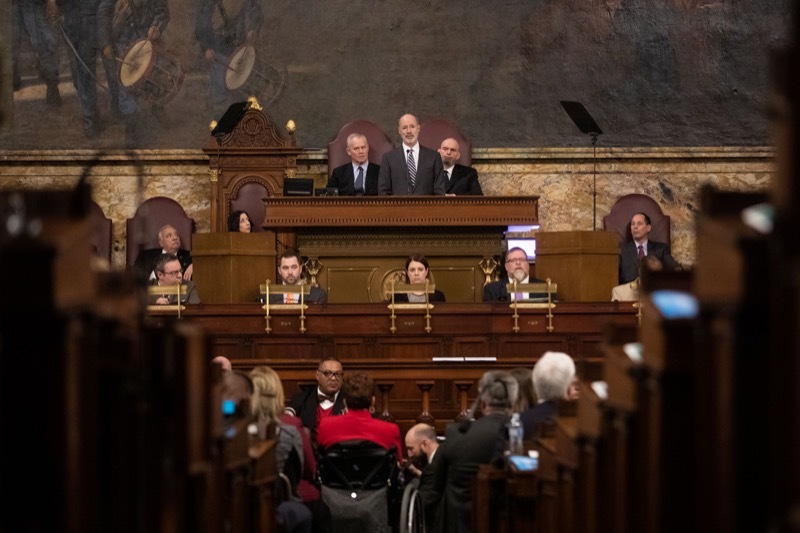 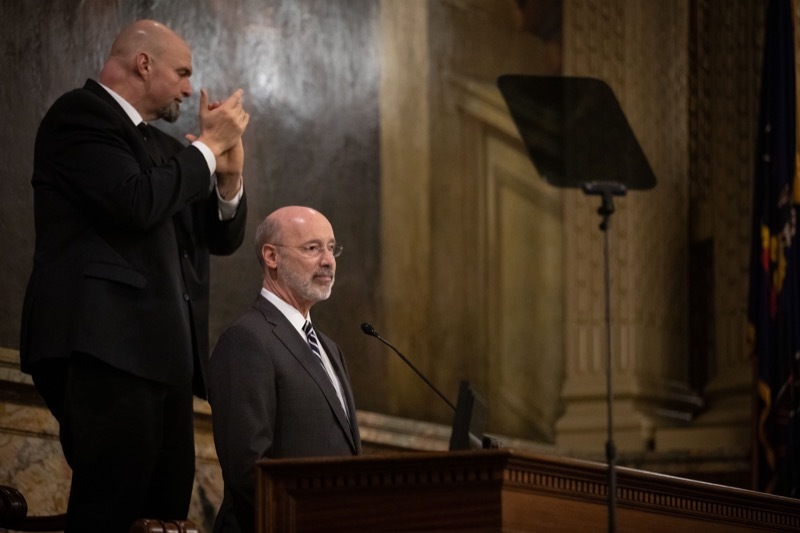 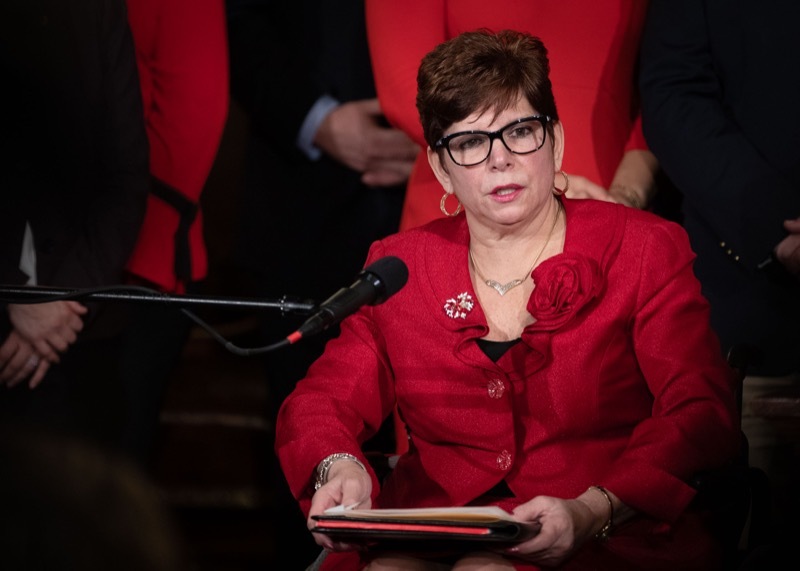 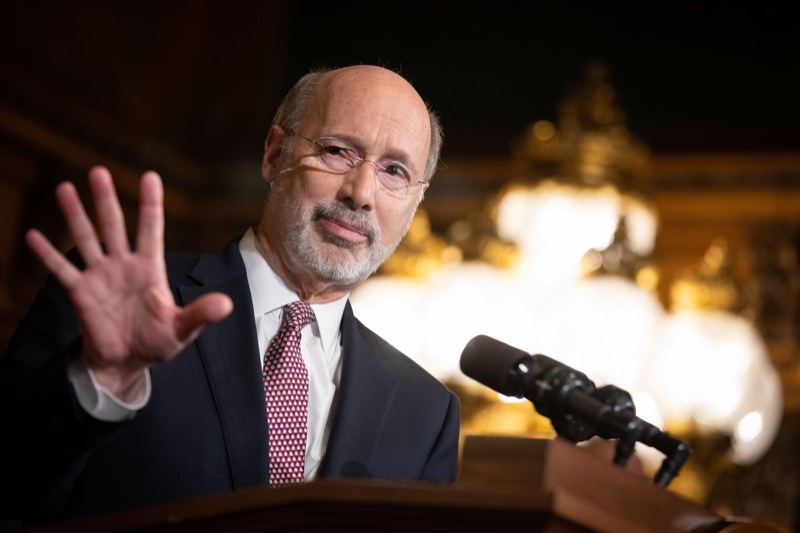 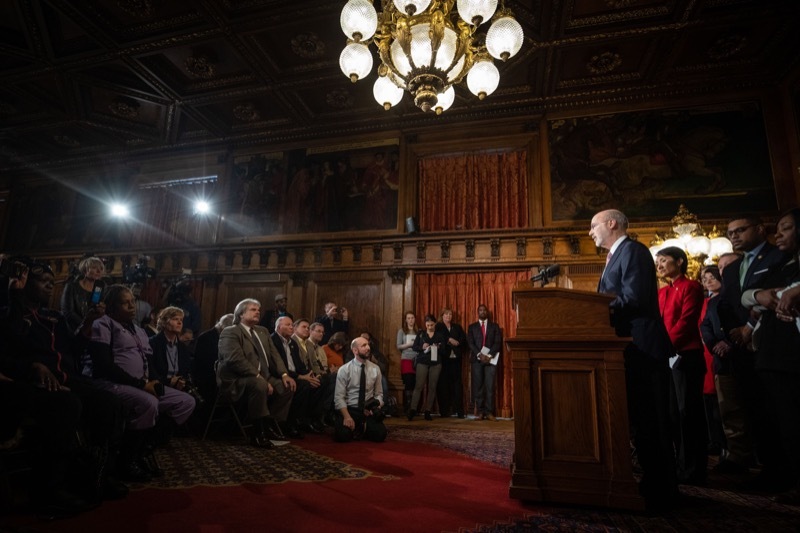 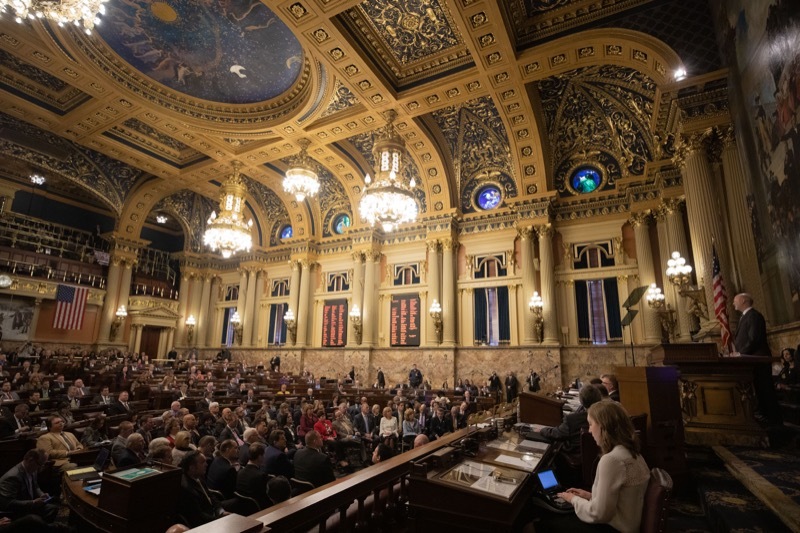 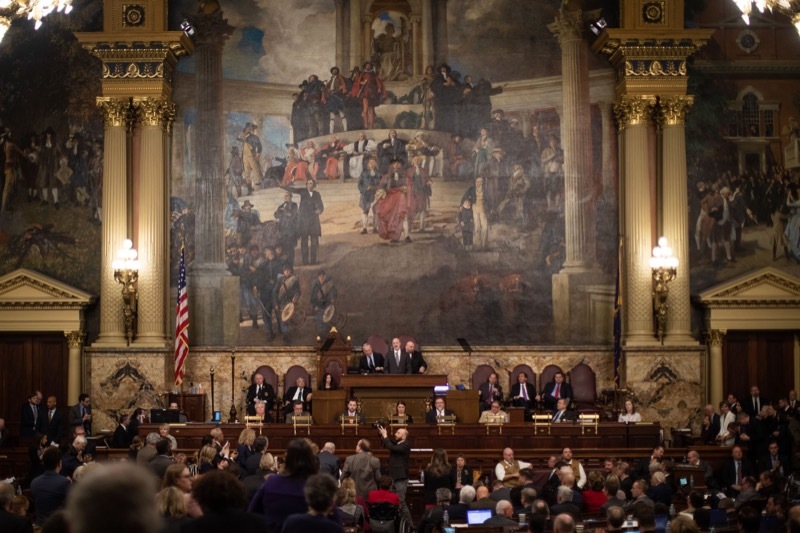 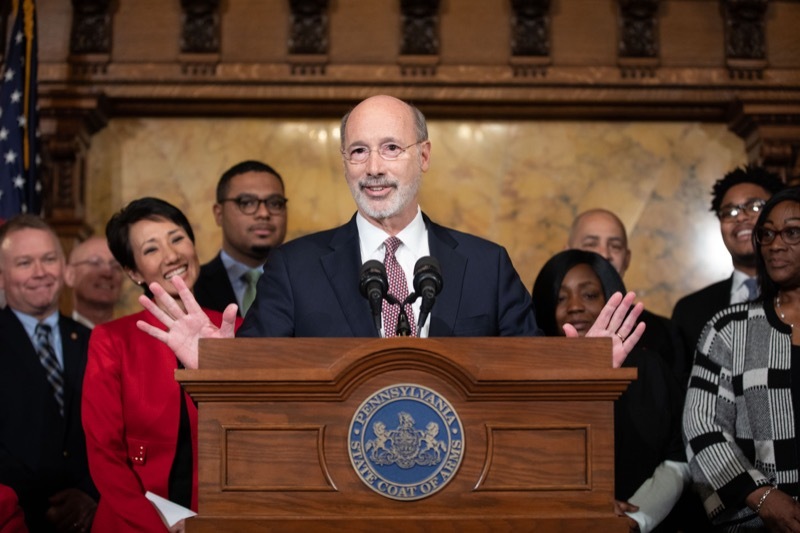 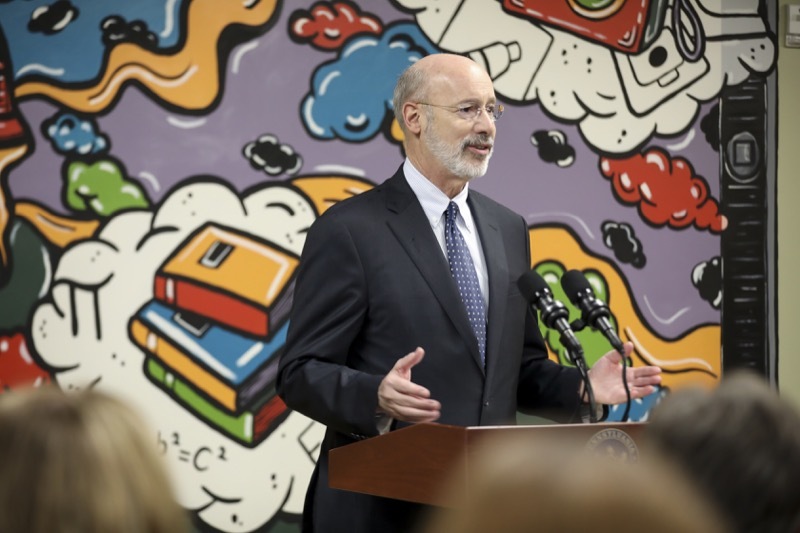 Governor Wolf's vision for Pennsylvania includes vibrant towns and cities with new development, opportunities in rural and disadvantaged areas, and a modern, interconnected commonwealth. 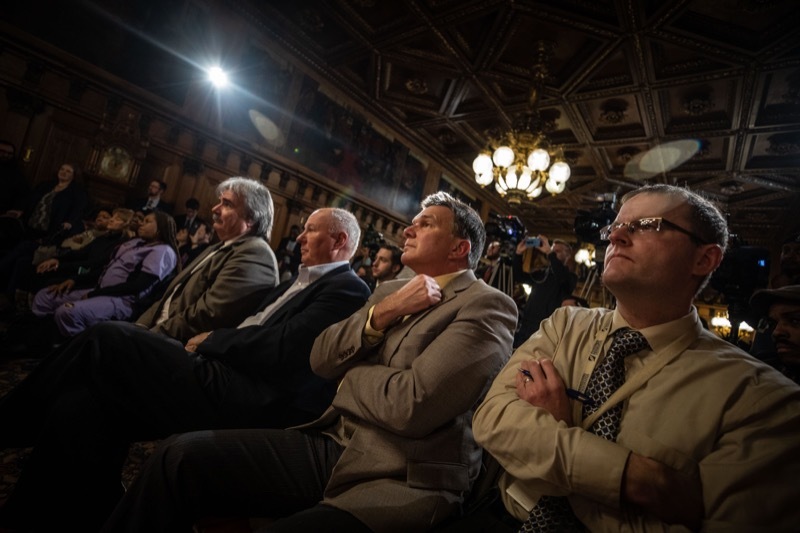 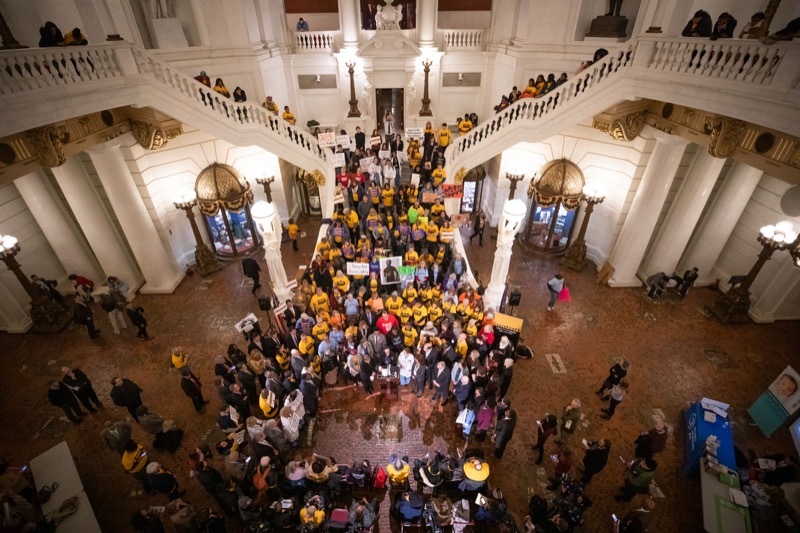 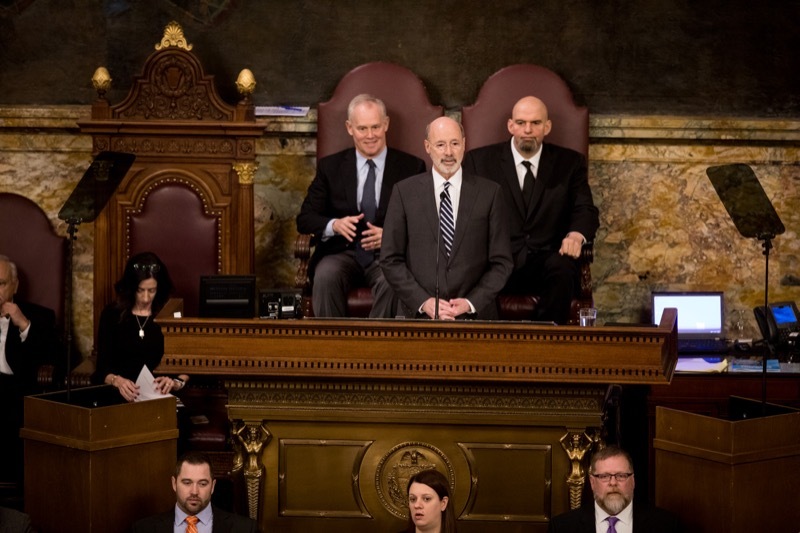 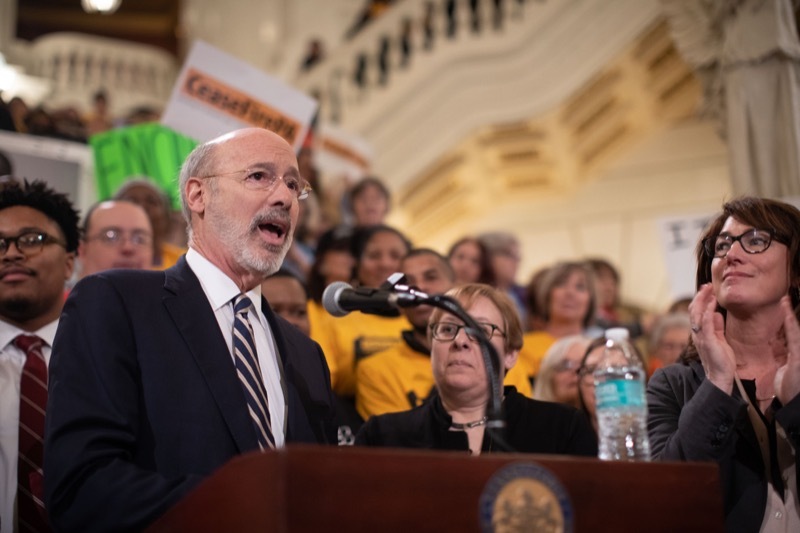 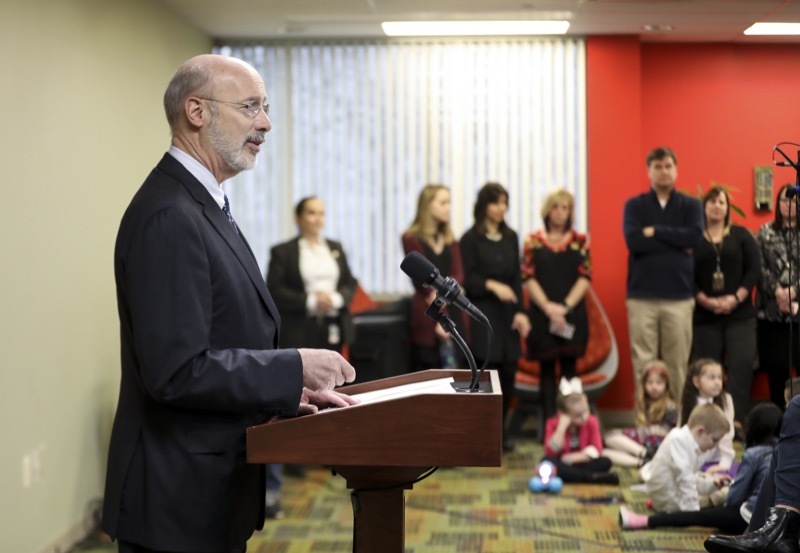 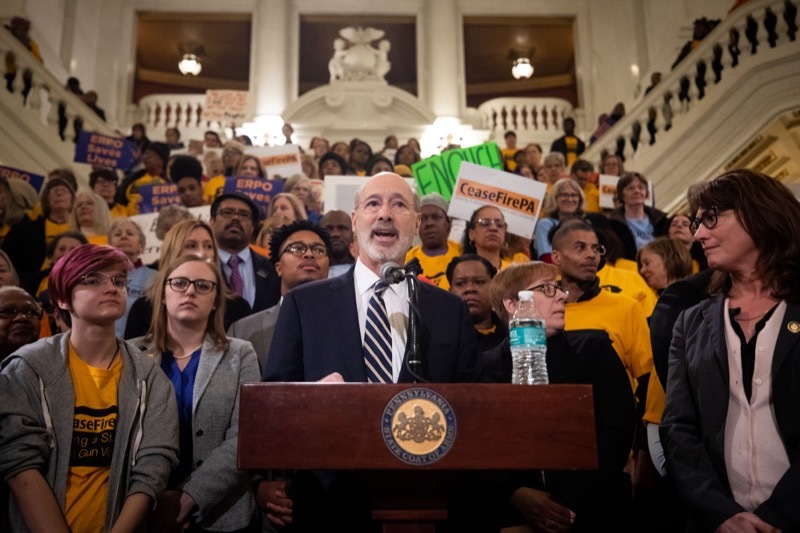 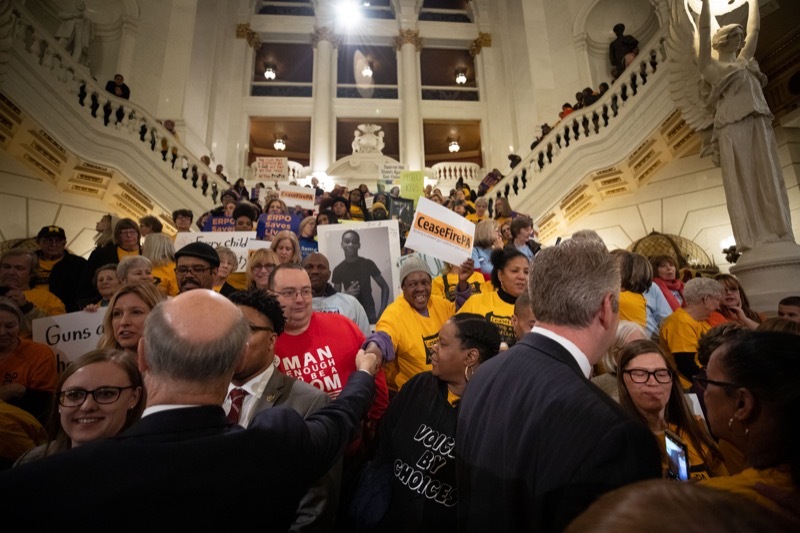 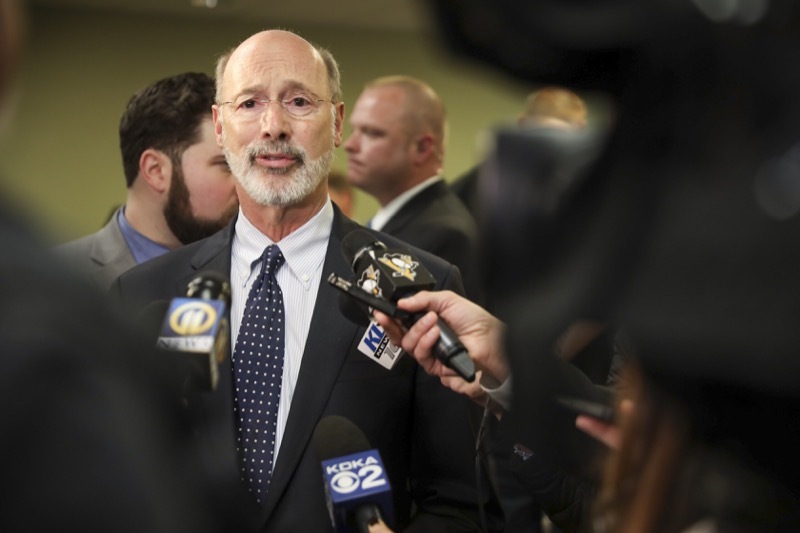 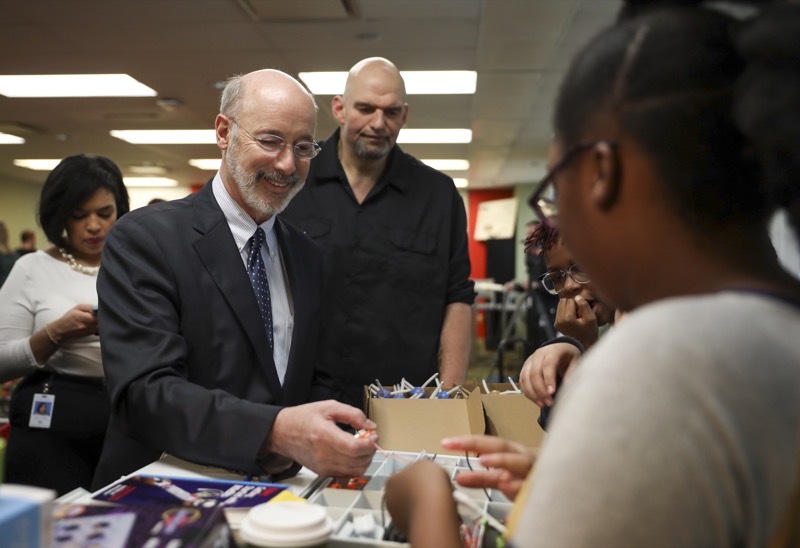 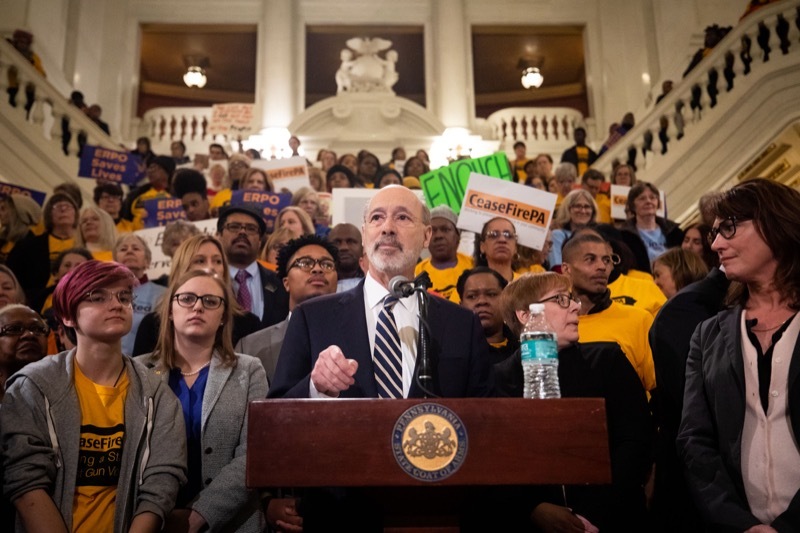 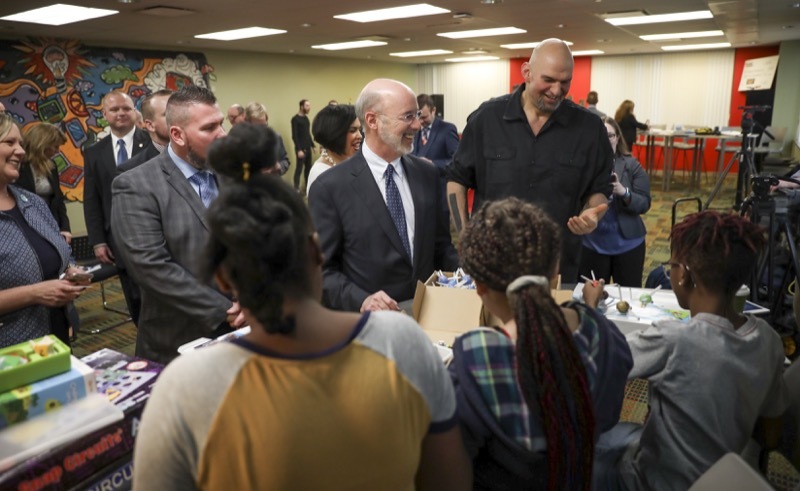 Governor Tom Wolf today proposed to raise Pennsylvania's minimum wage to $12 an hour. 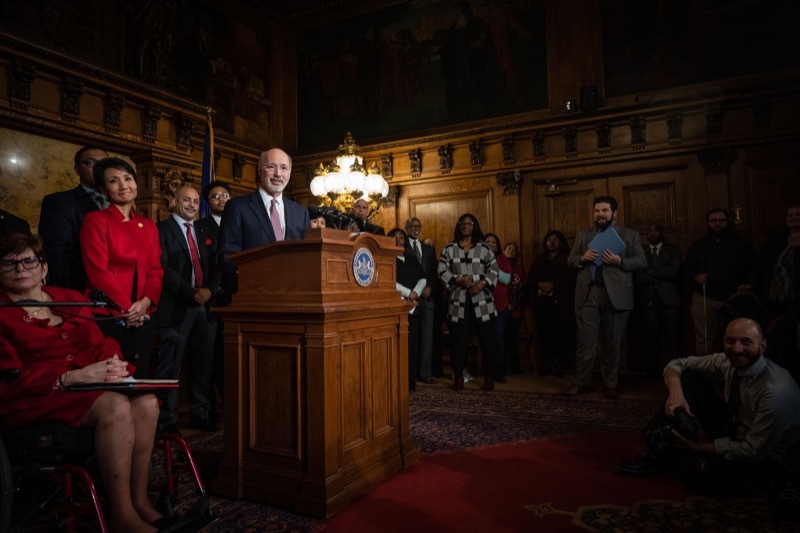 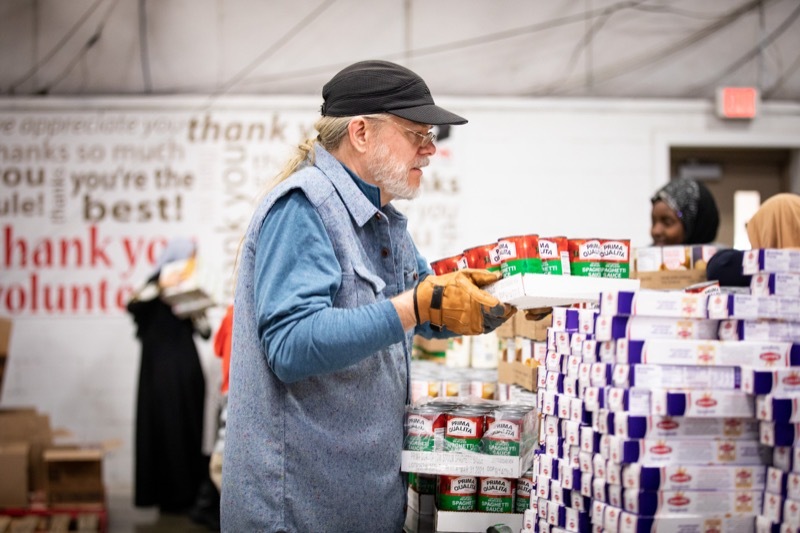 The boost in pay for one million workers would enable tens of thousands of people to work their way off of public assistance, saving taxpayers hundreds of millions of dollars and growing the economy for everyone.